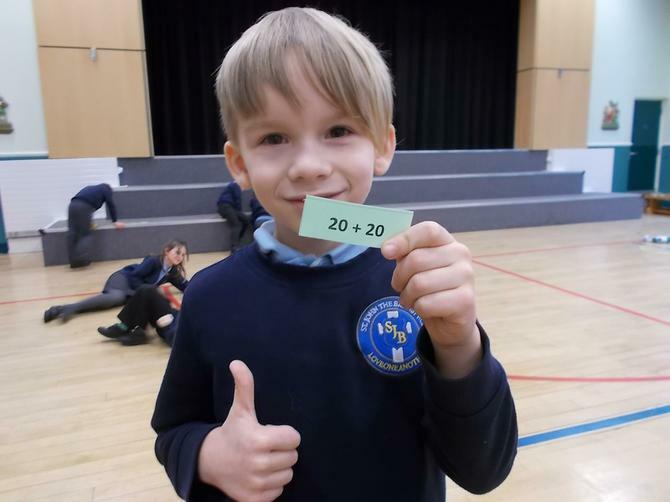 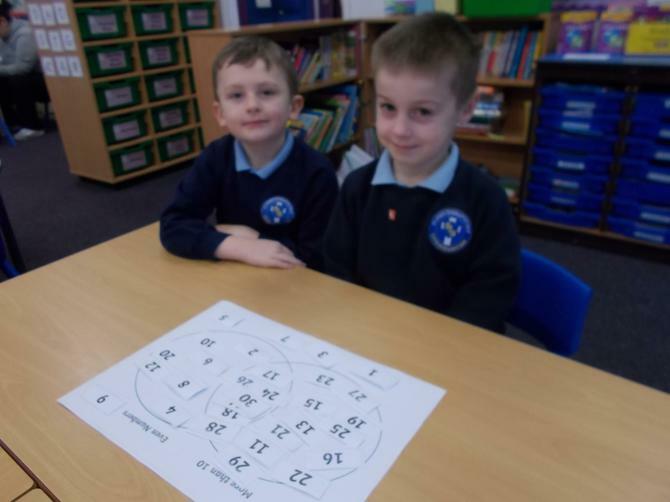 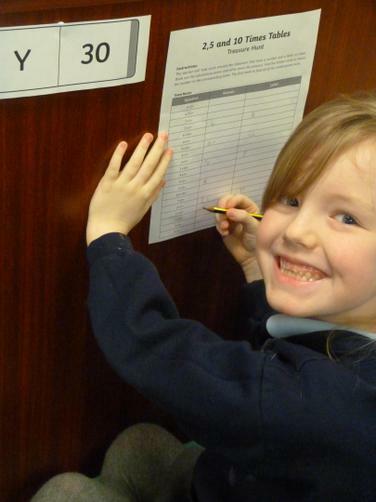 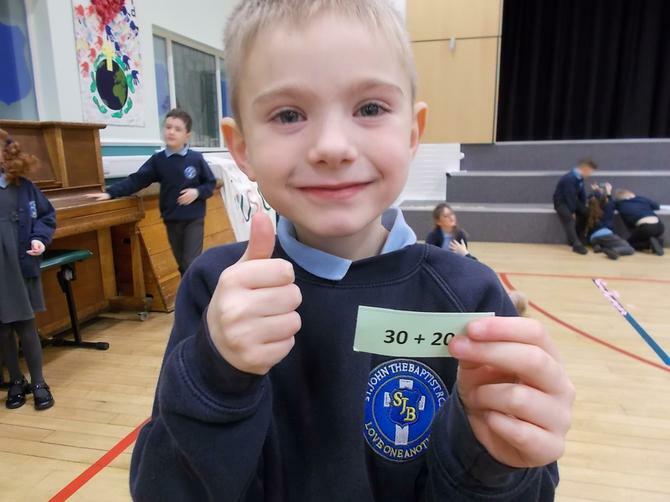 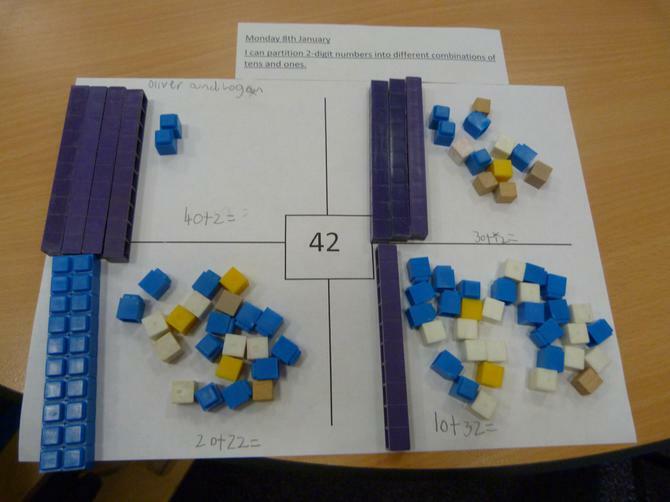 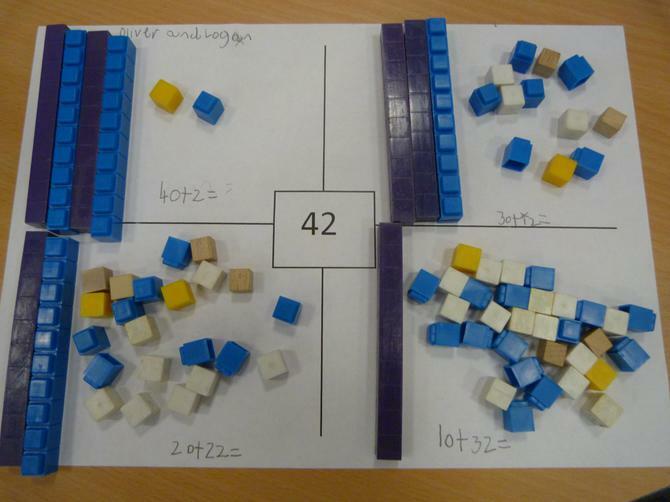 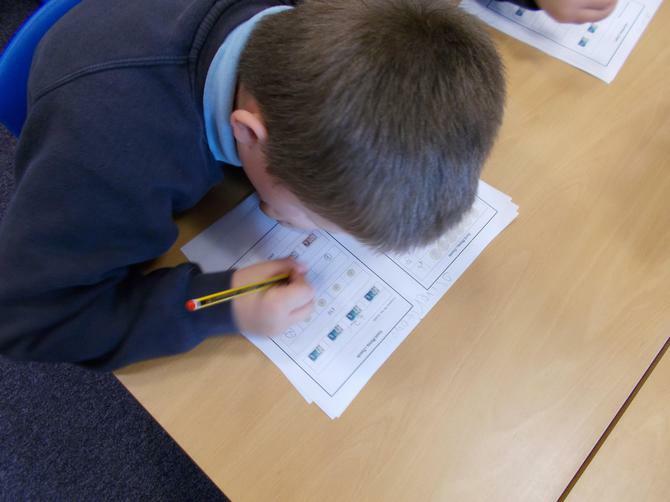 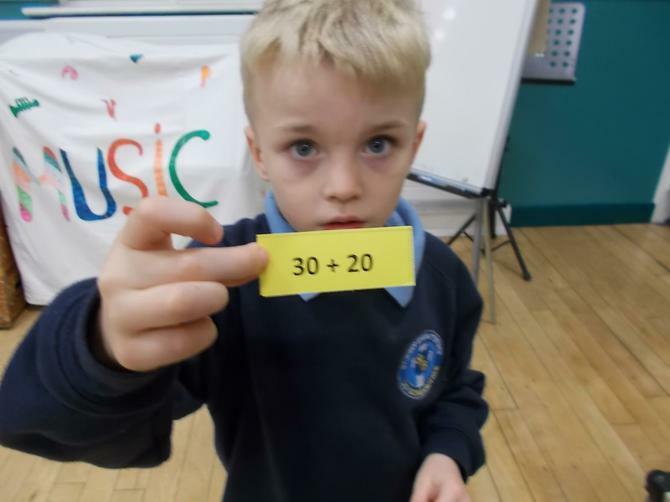 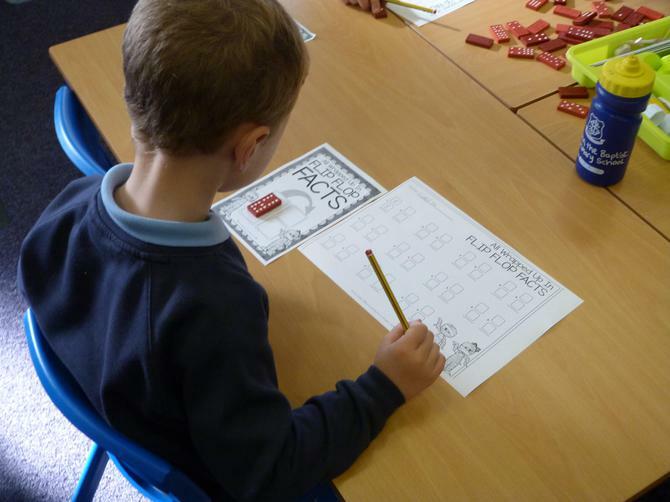 MATHS OF THE DAY - Add and Subtract numbers mentally and putting the numbers into an order. 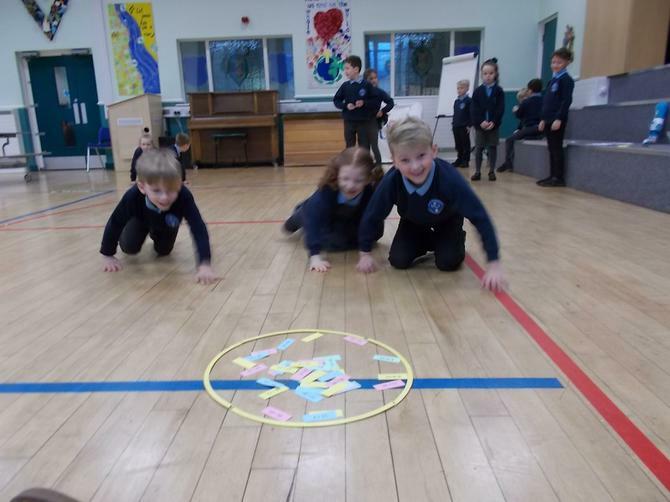 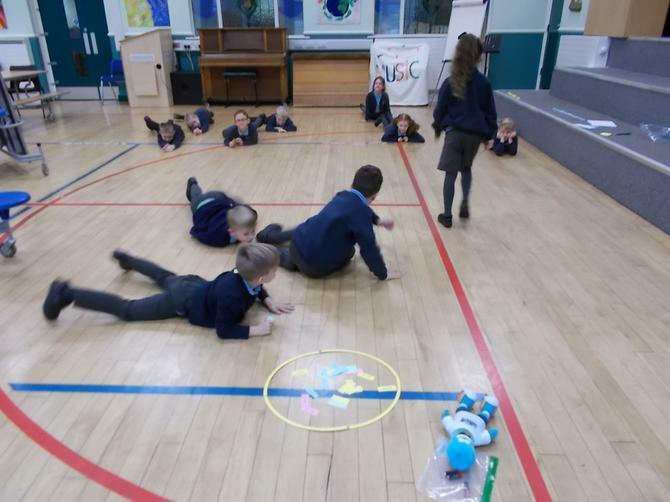 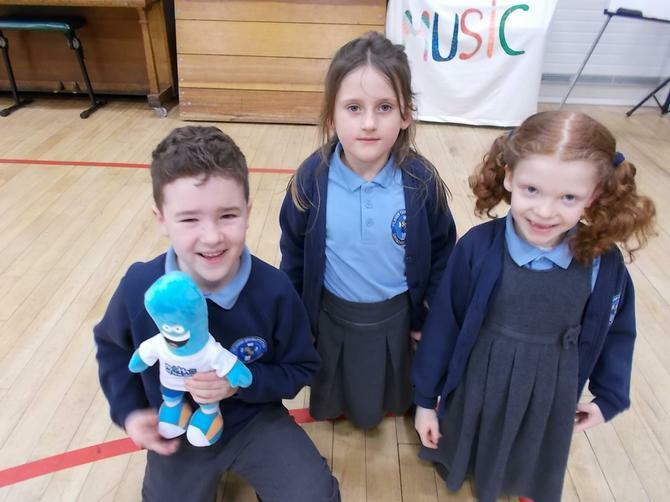 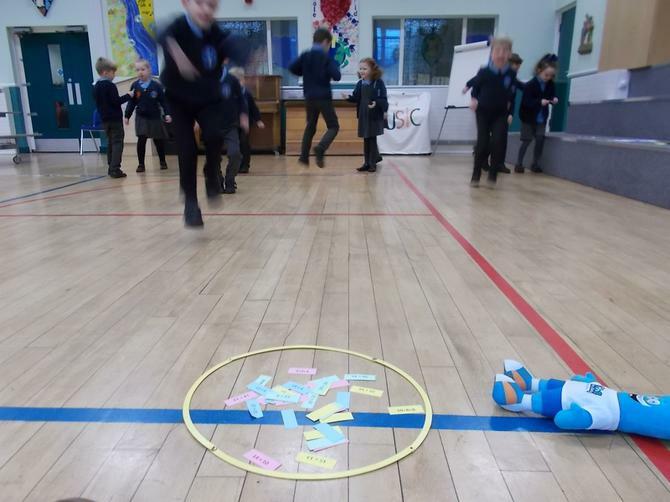 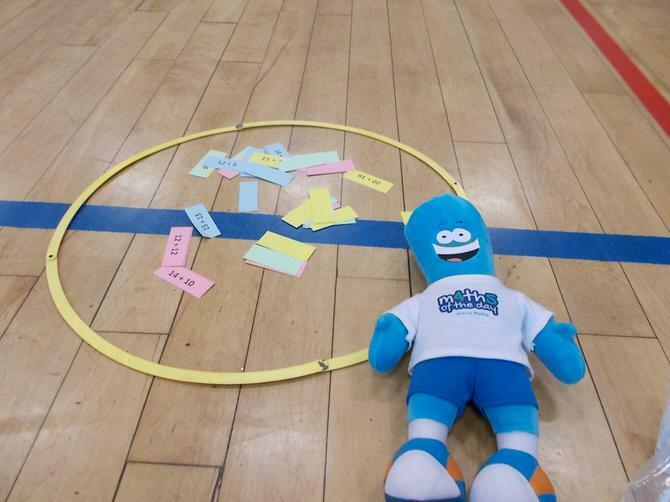 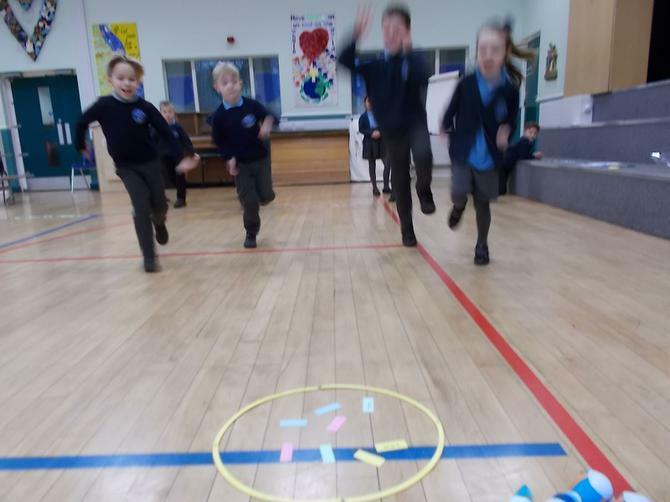 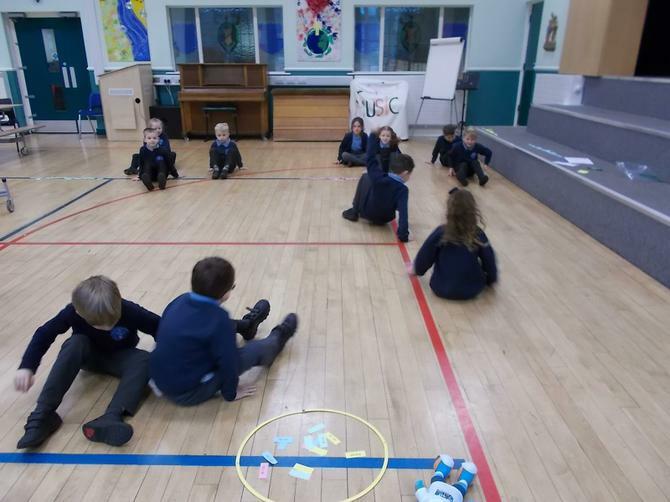 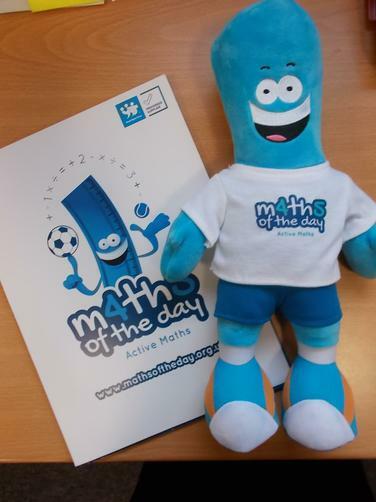 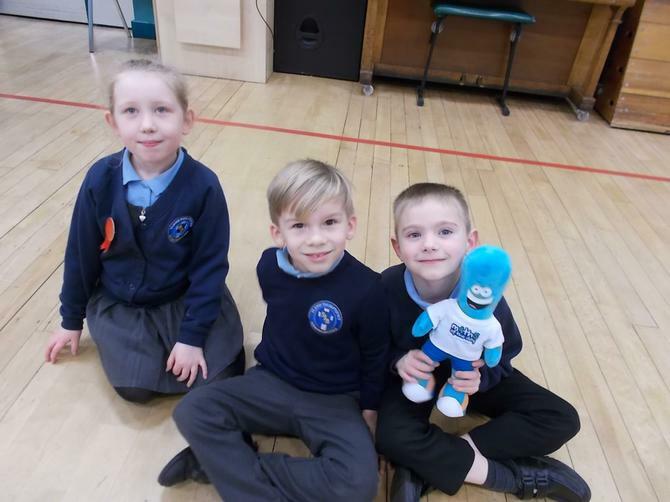 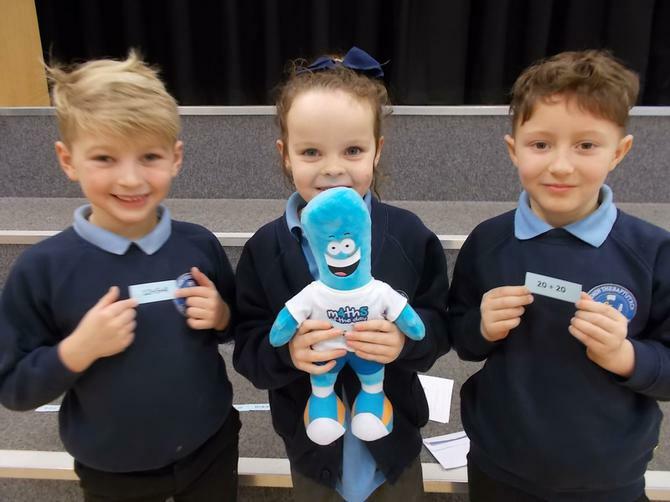 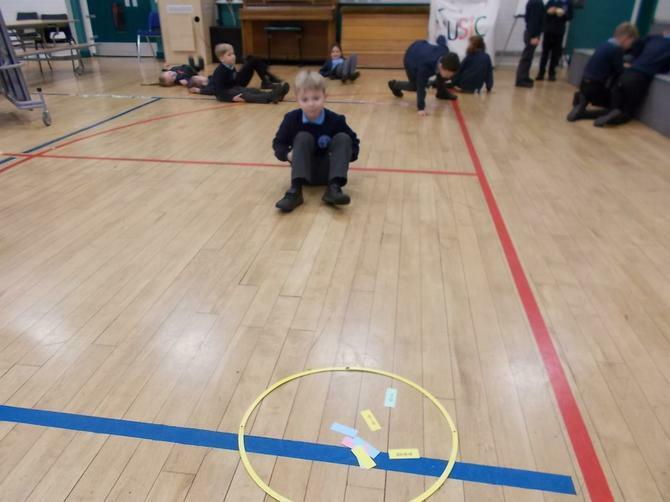 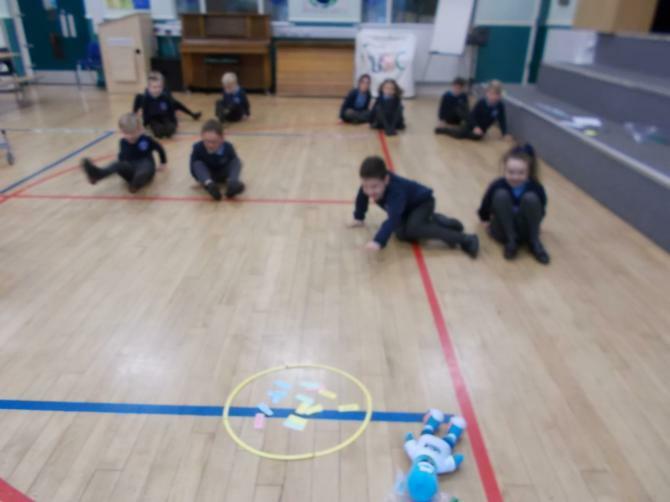 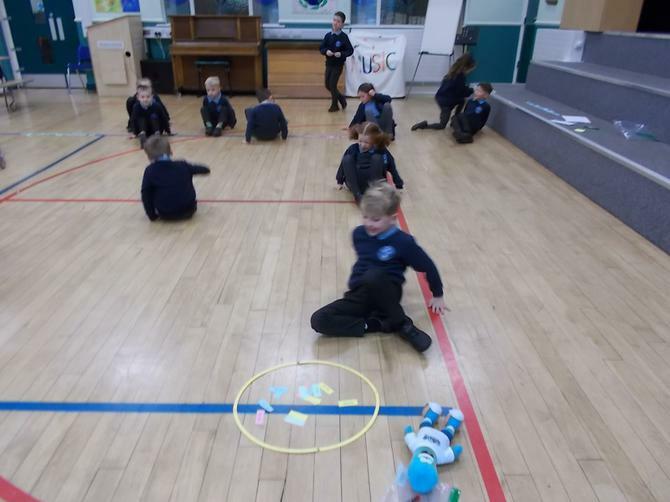 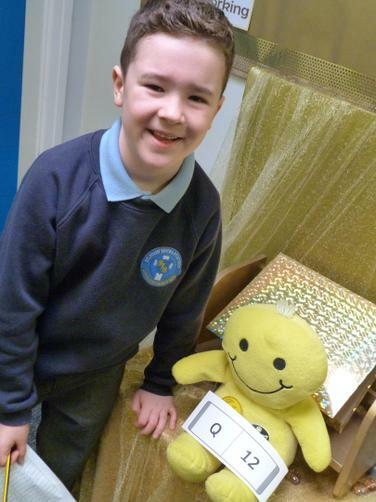 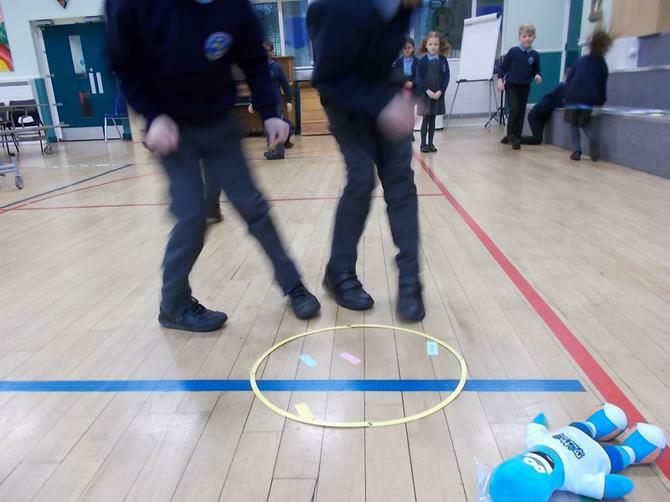 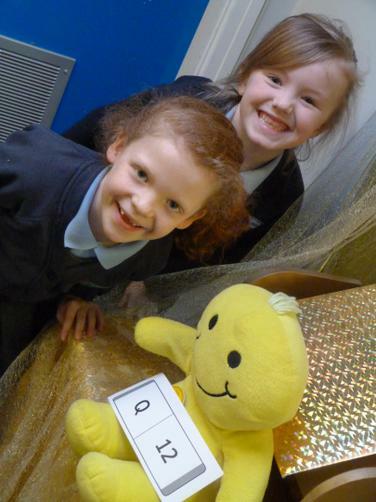 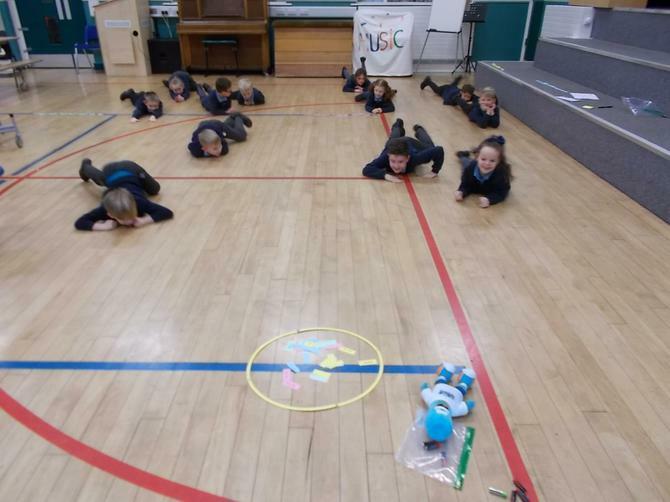 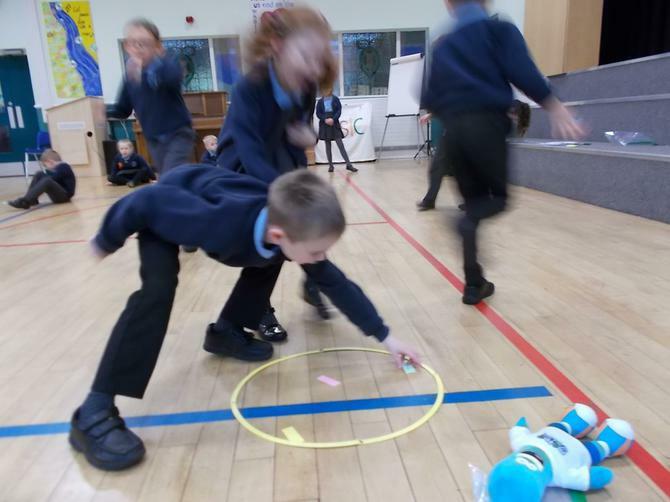 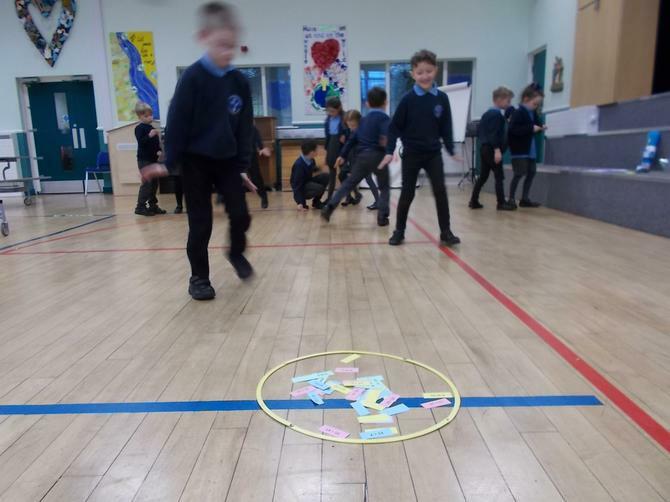 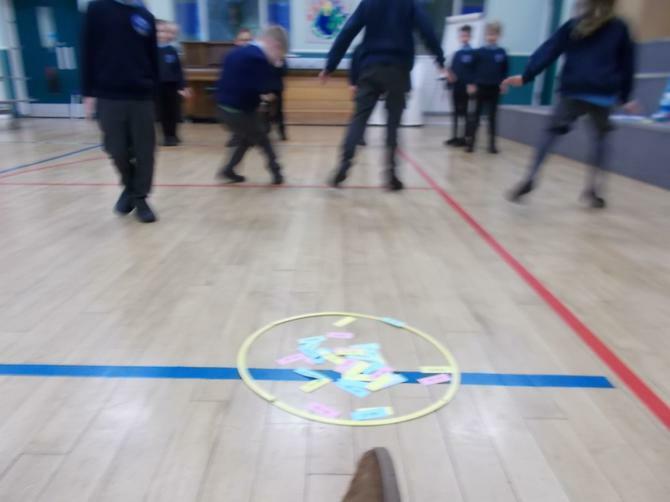 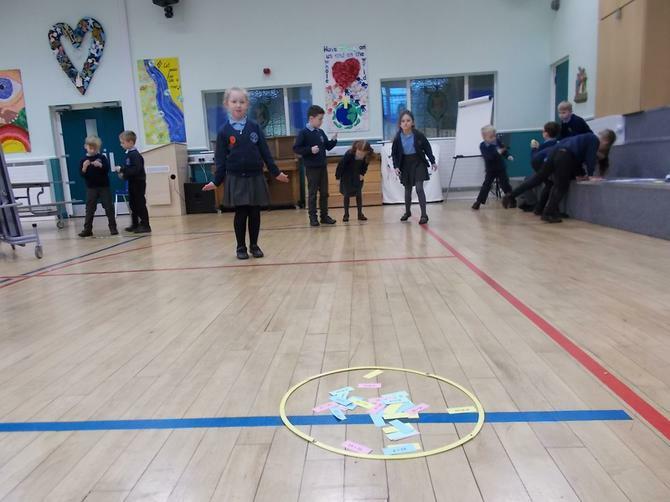 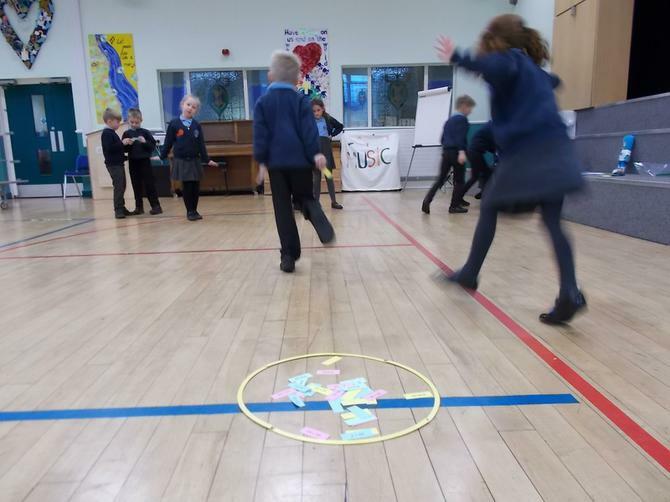 The children had great fun playing this game and were helped by MOTTY the mascot. 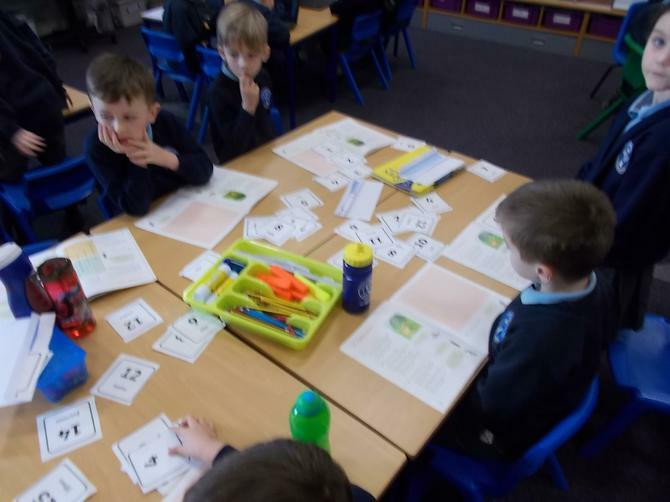 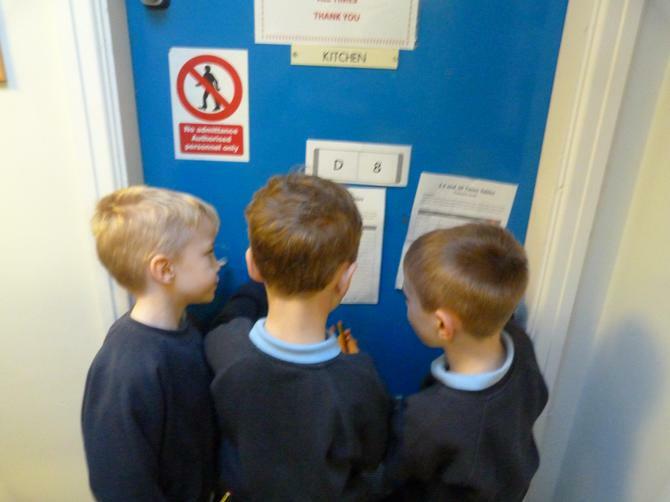 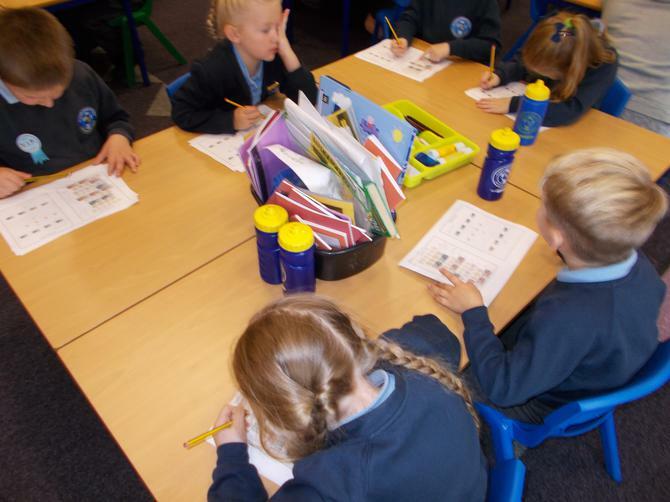 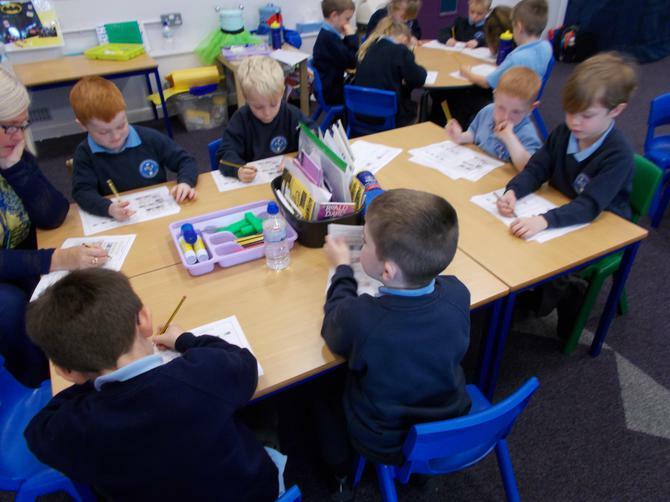 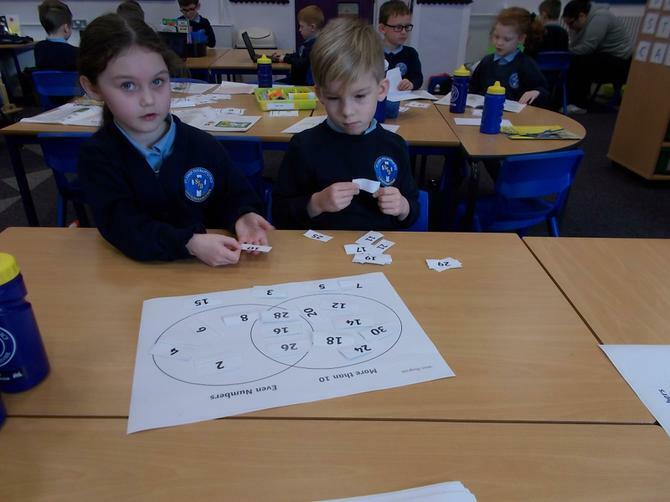 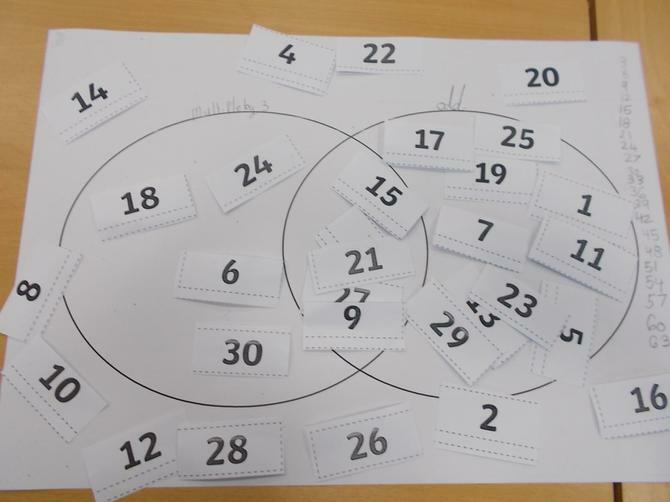 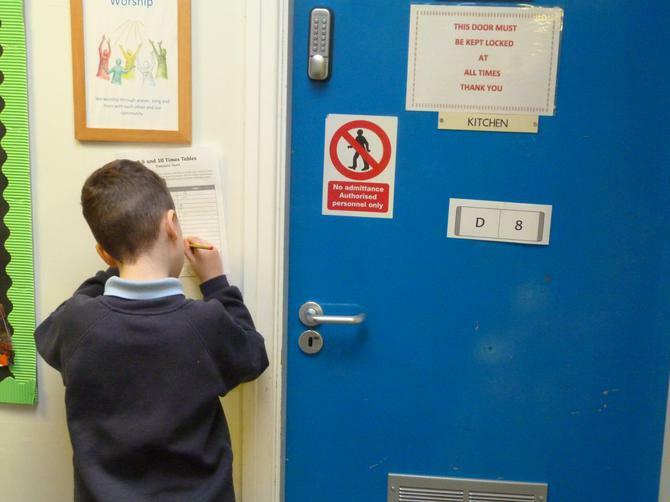 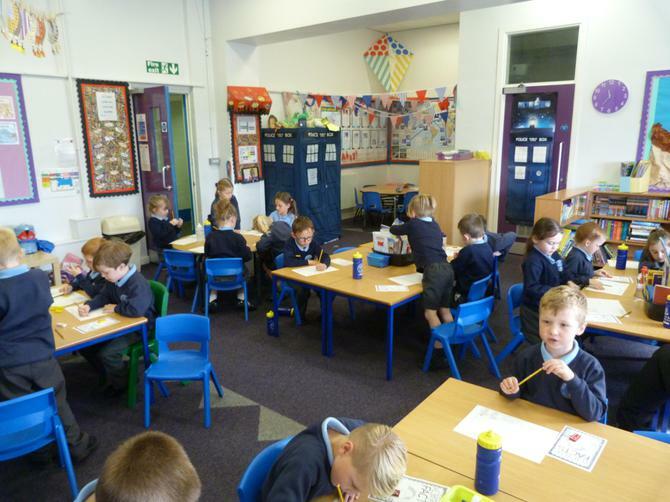 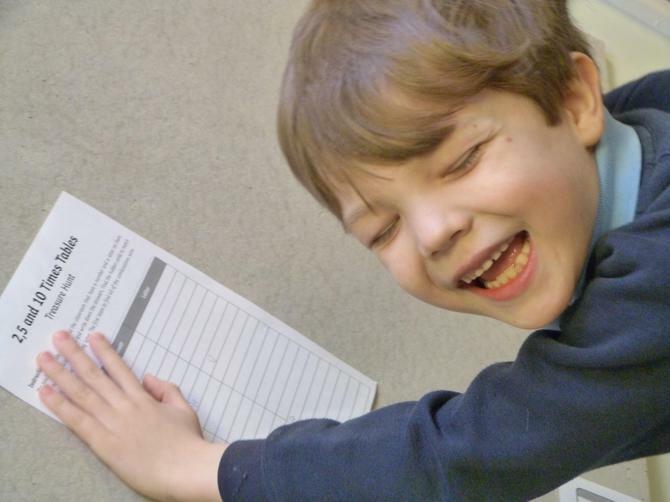 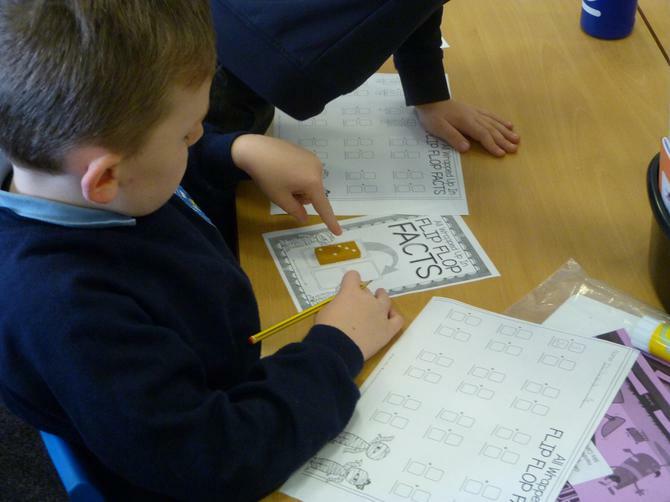 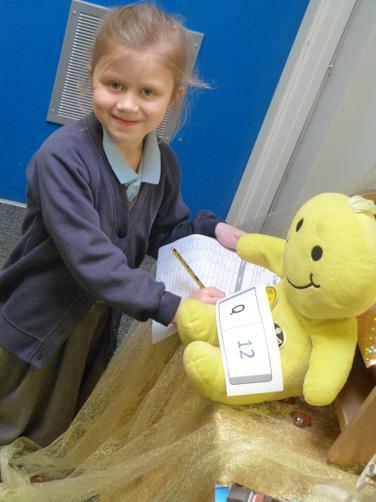 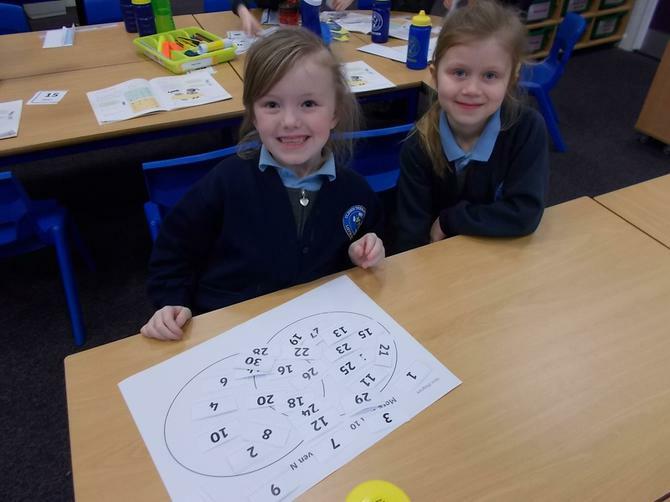 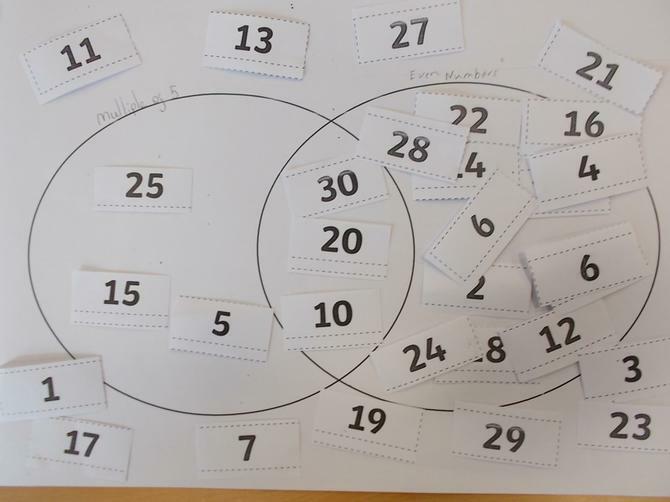 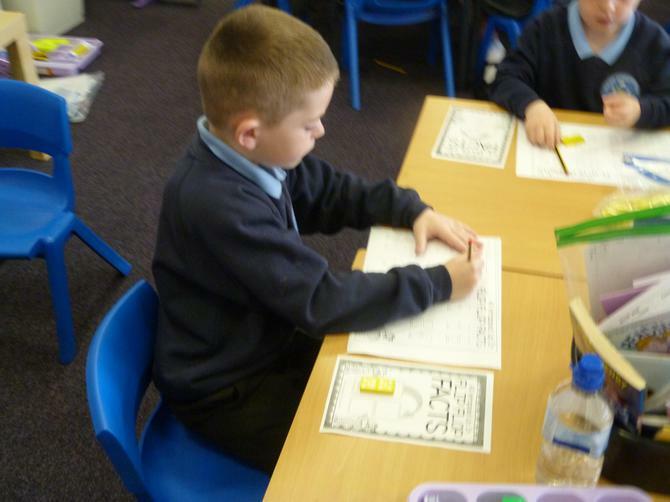 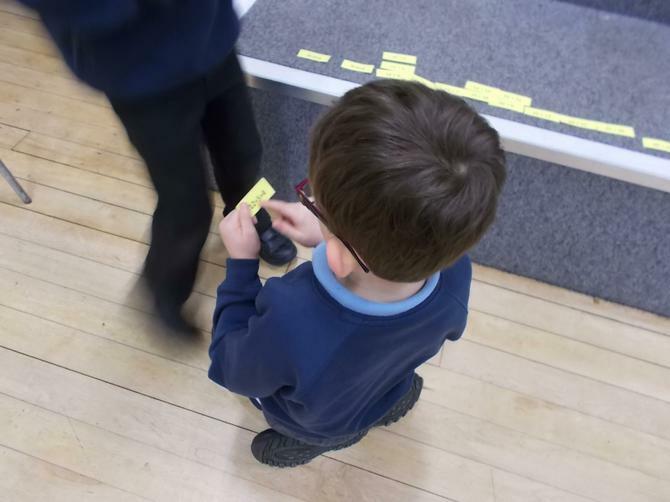 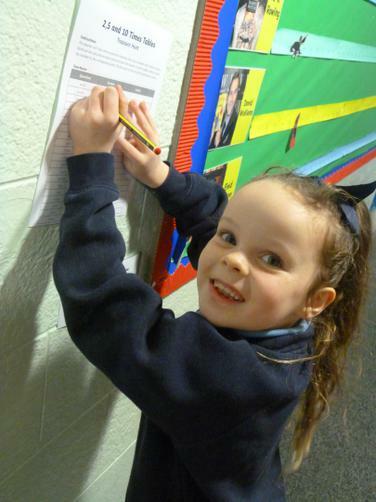 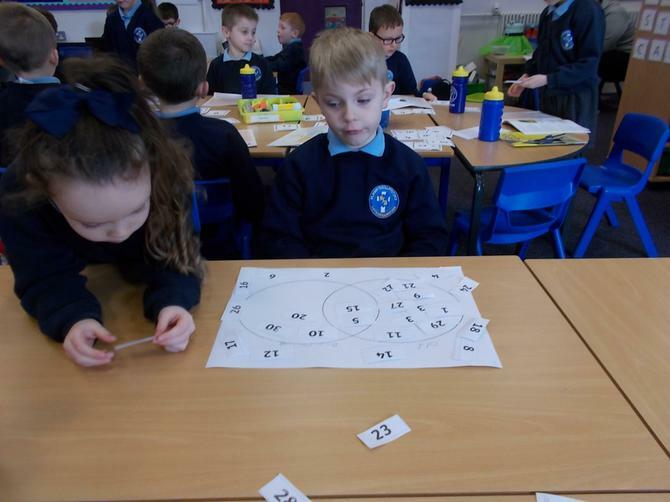 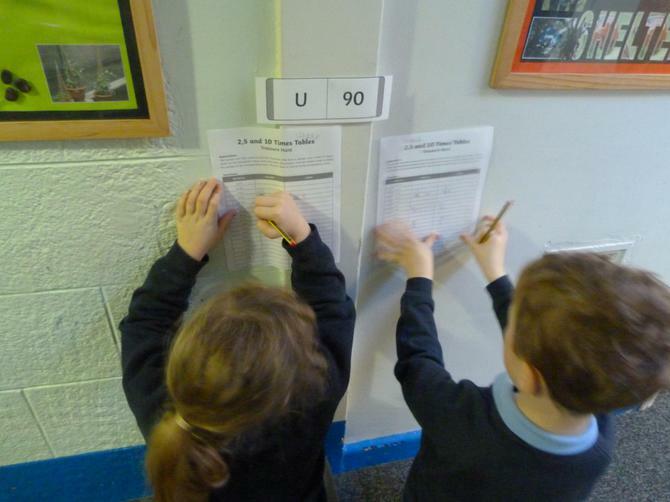 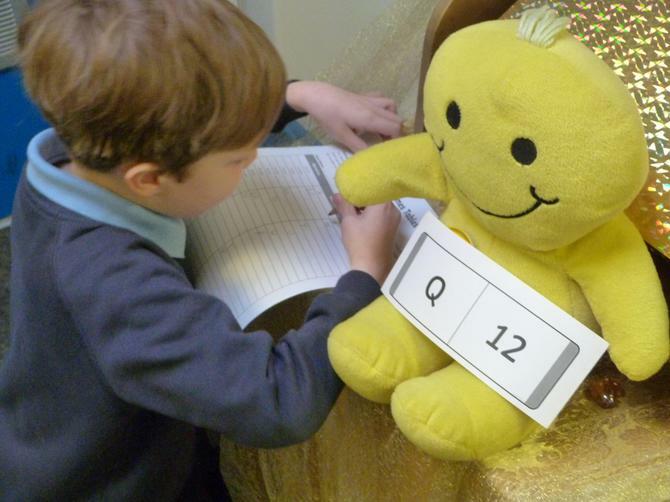 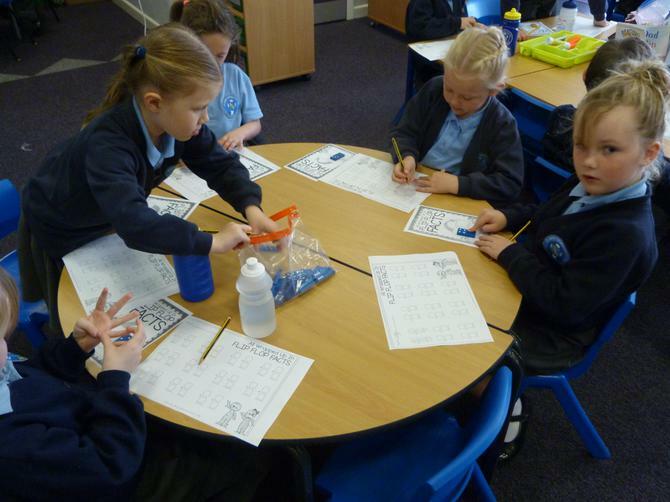 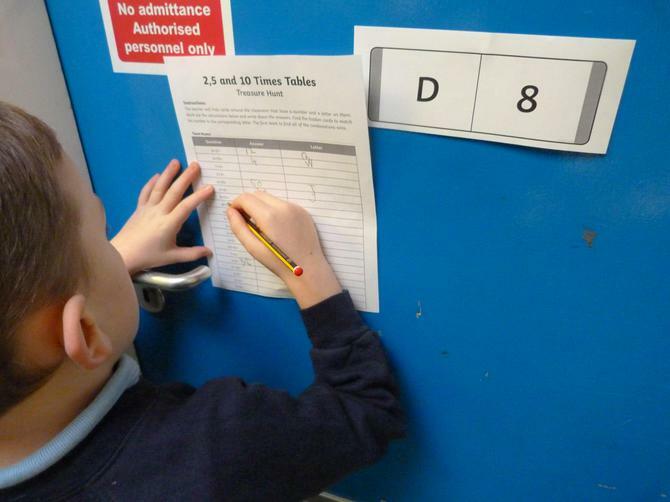 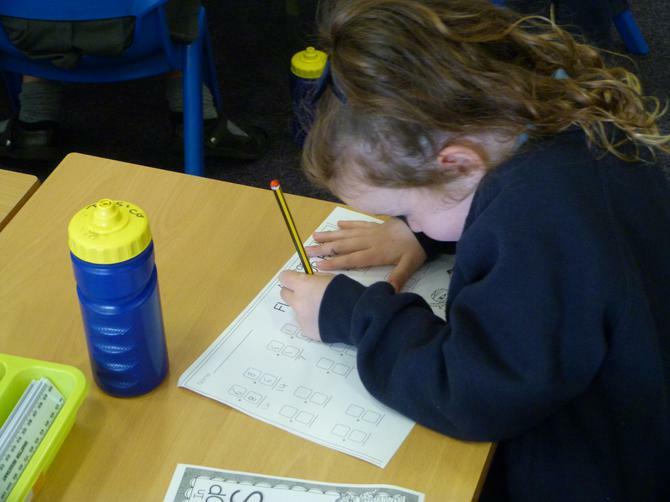 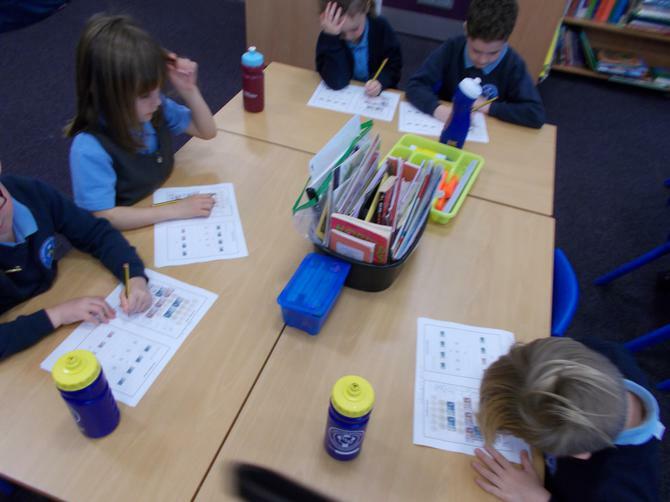 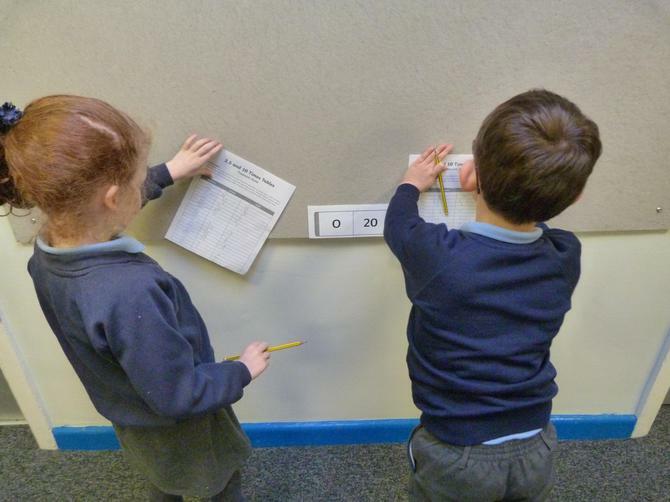 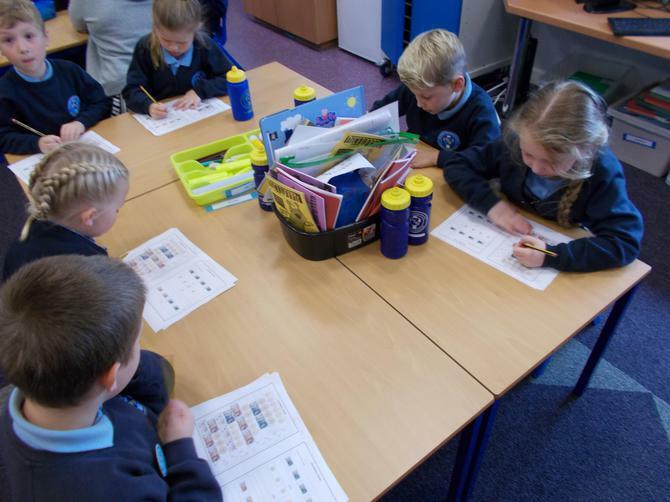 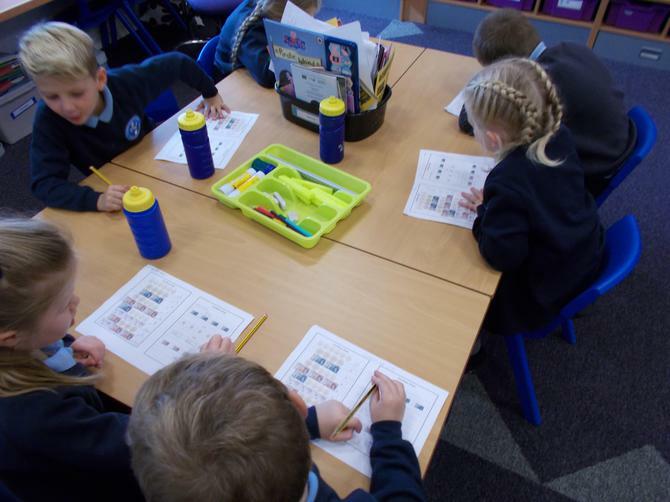 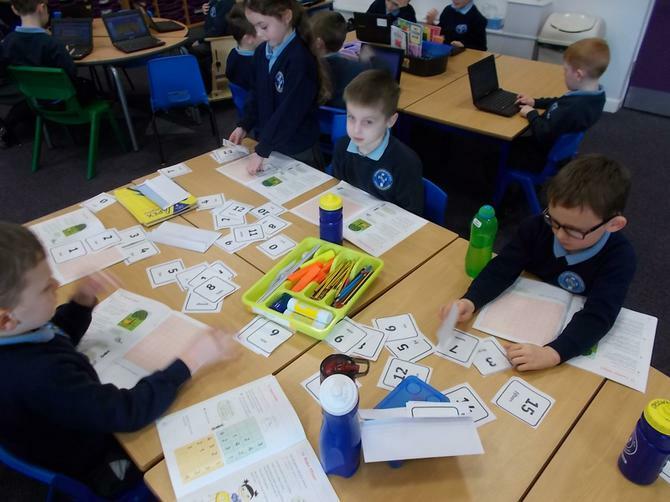 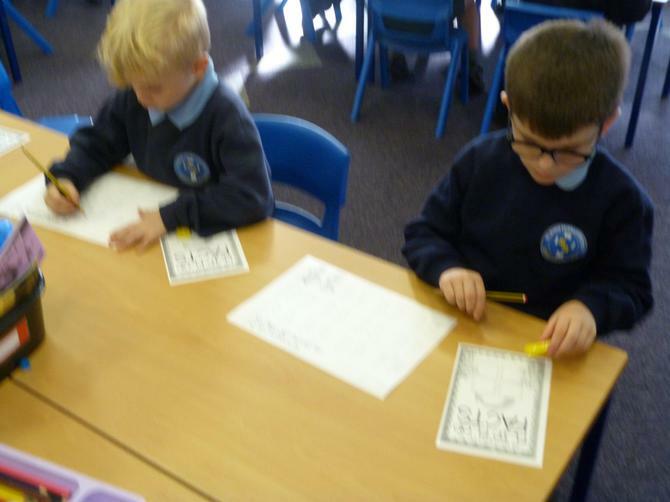 The children were sorting numbers into different criteria and then choosing some of their own. 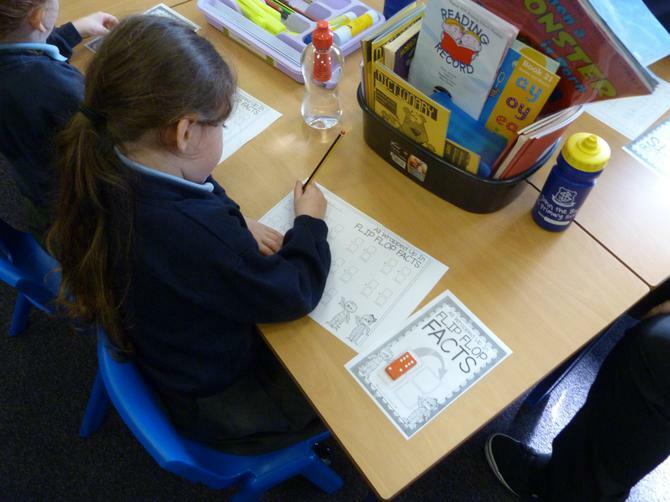 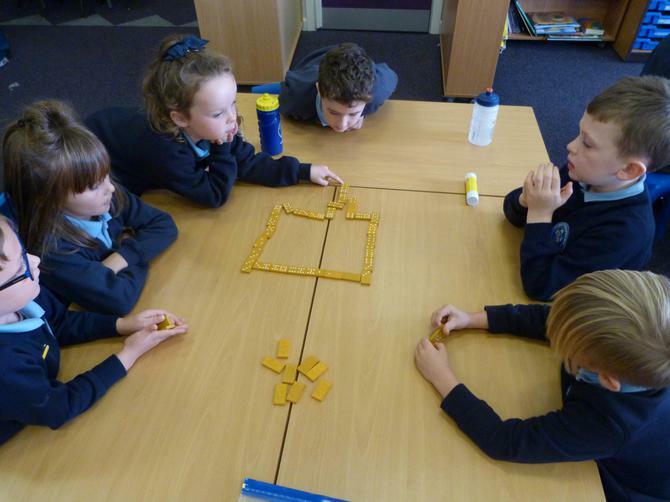 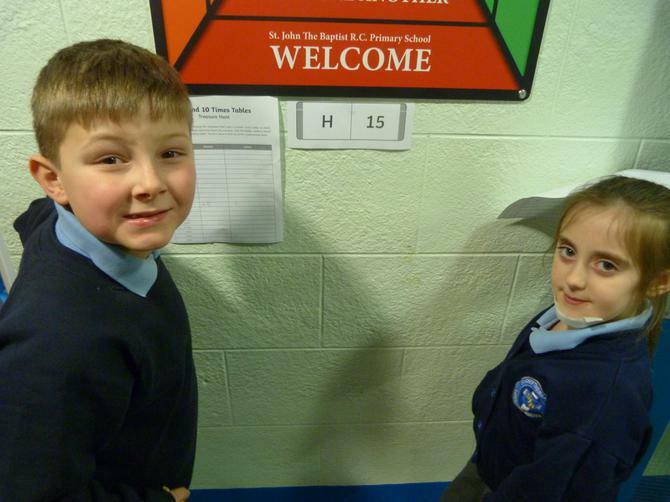 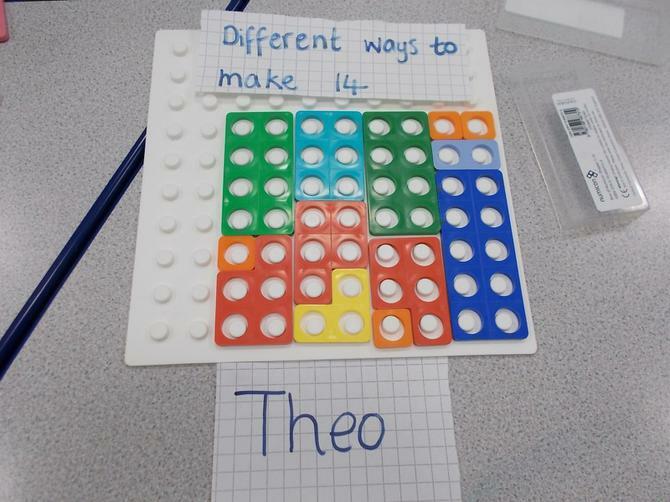 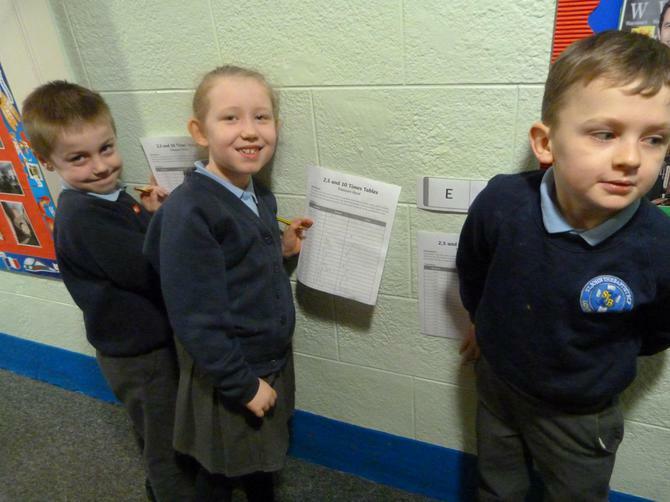 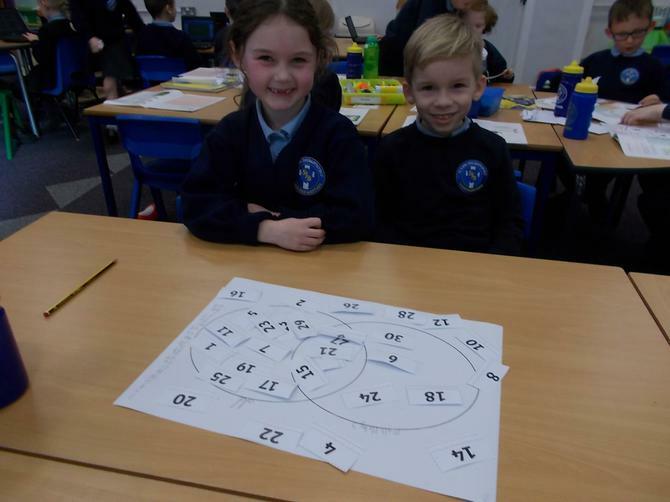 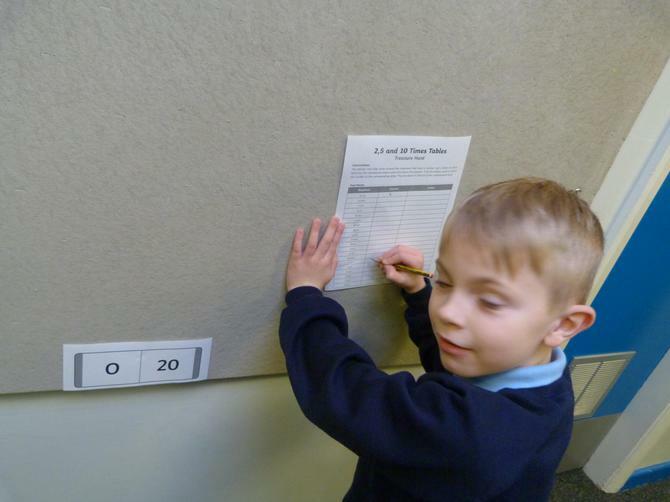 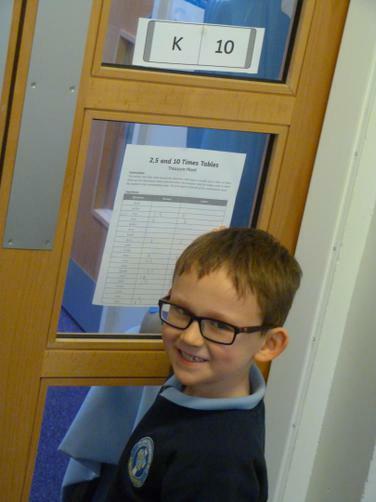 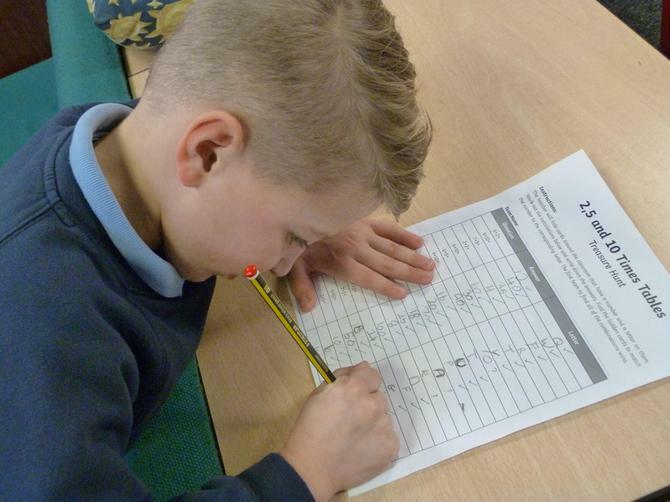 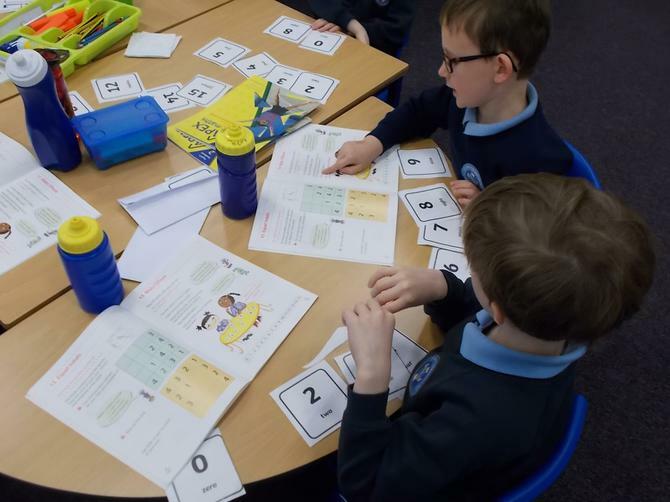 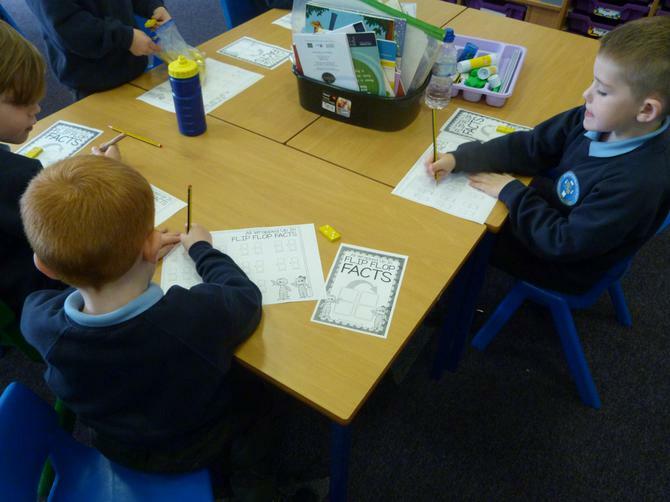 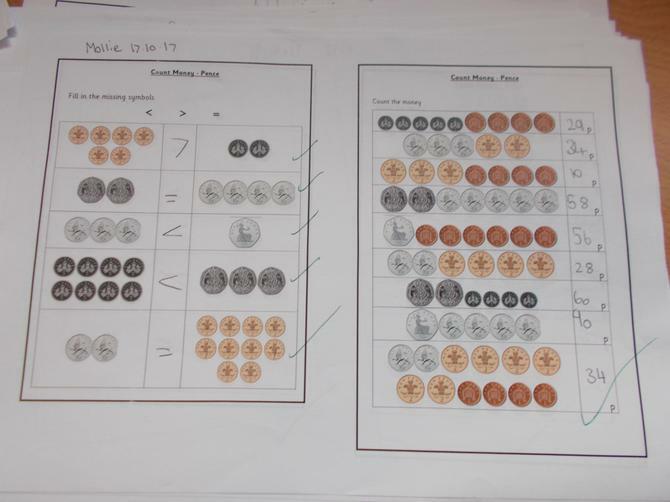 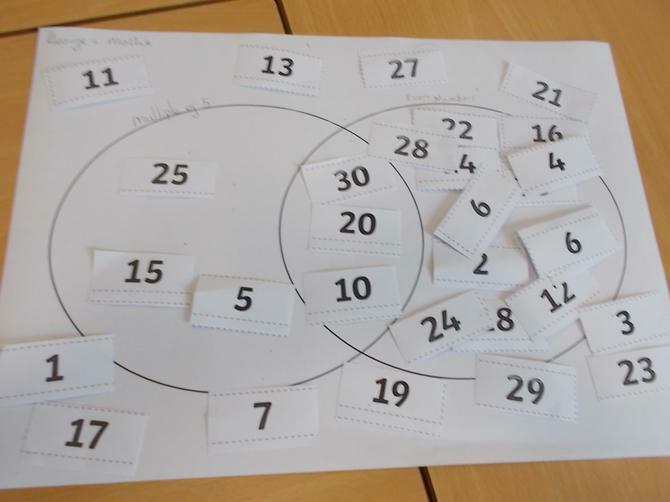 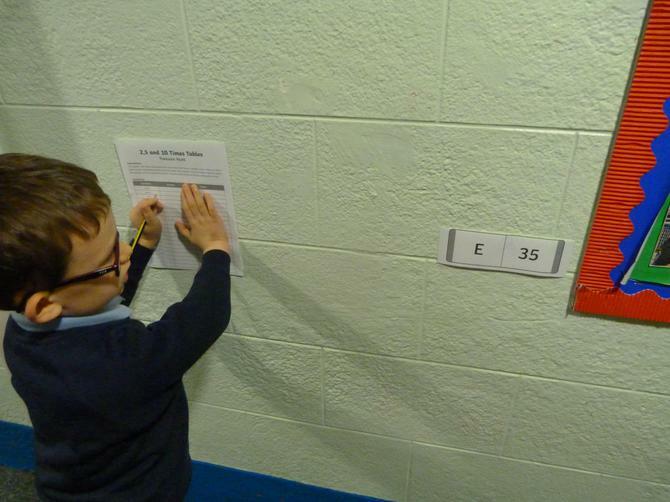 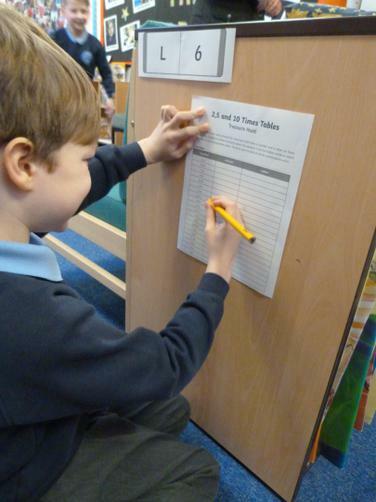 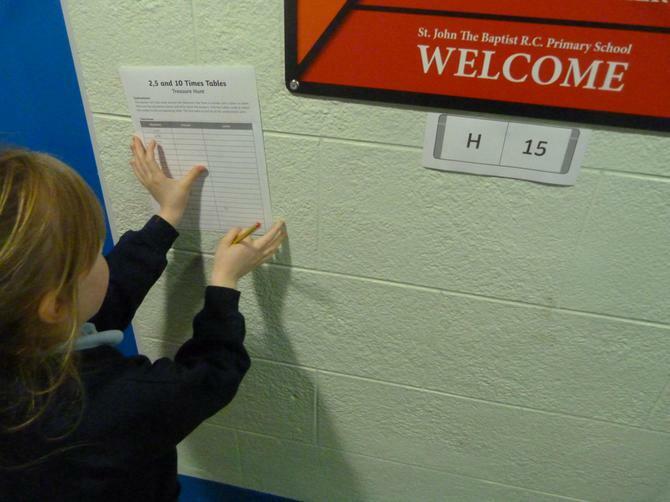 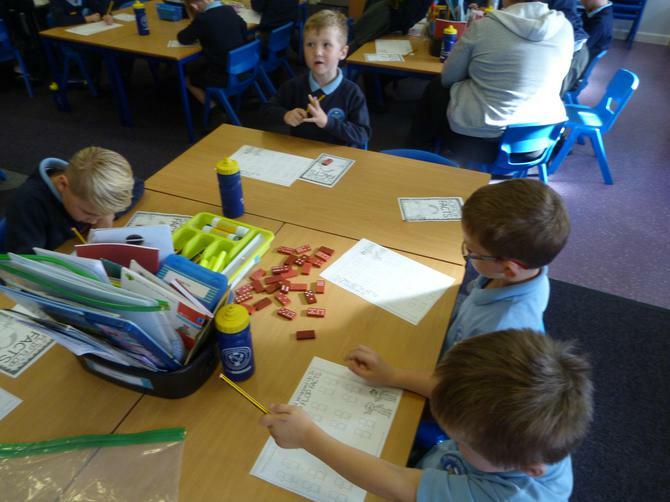 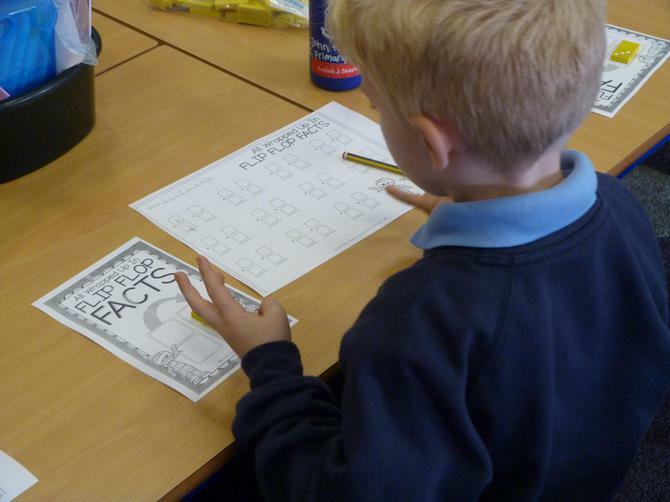 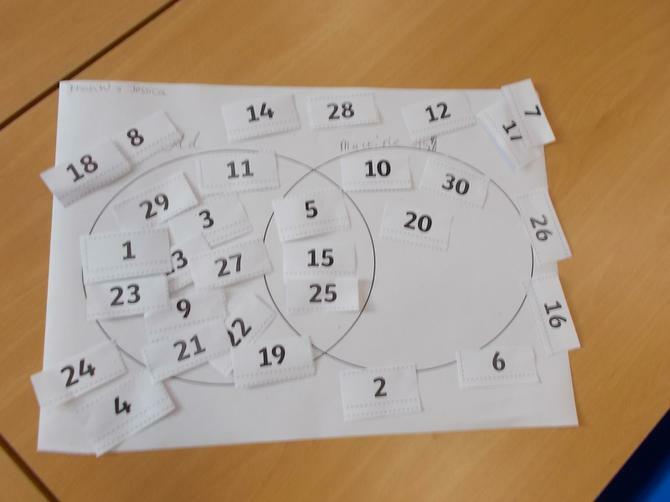 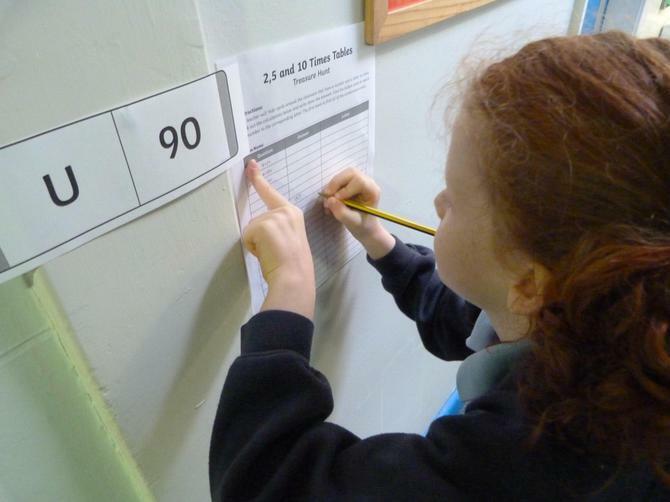 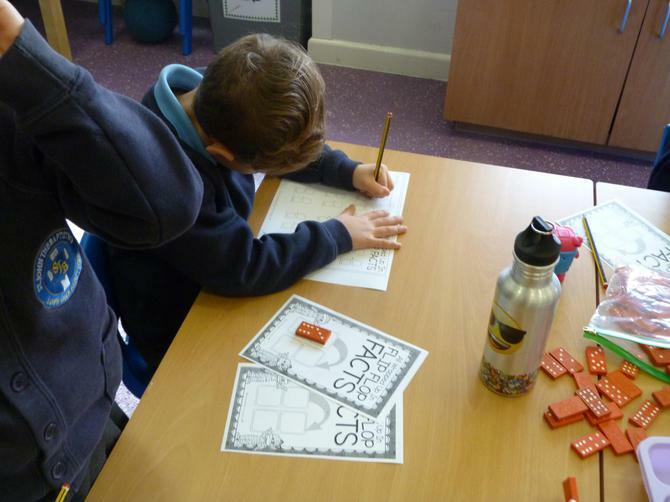 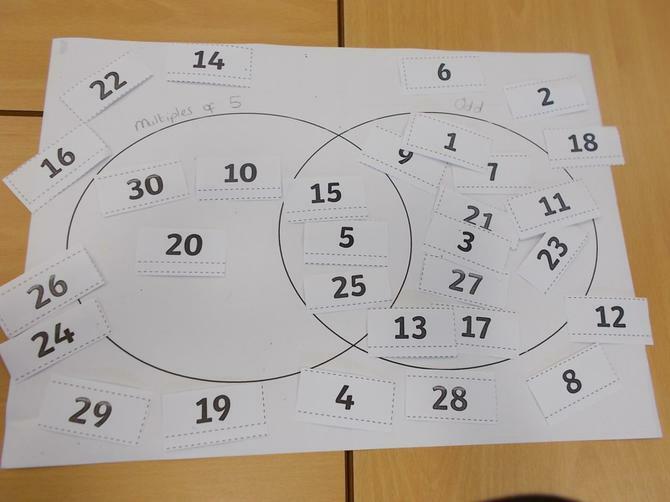 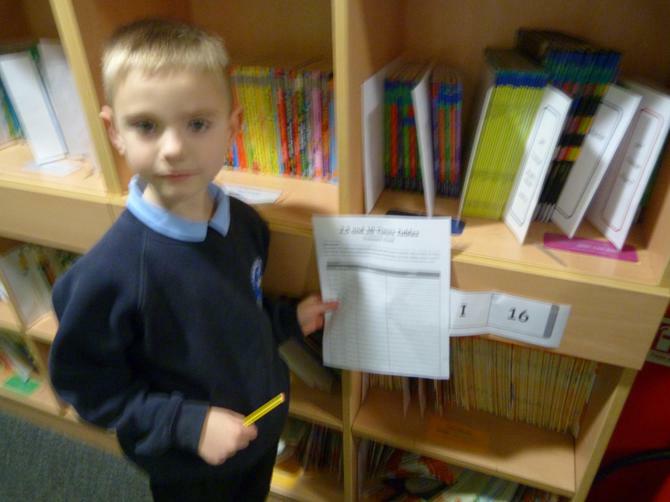 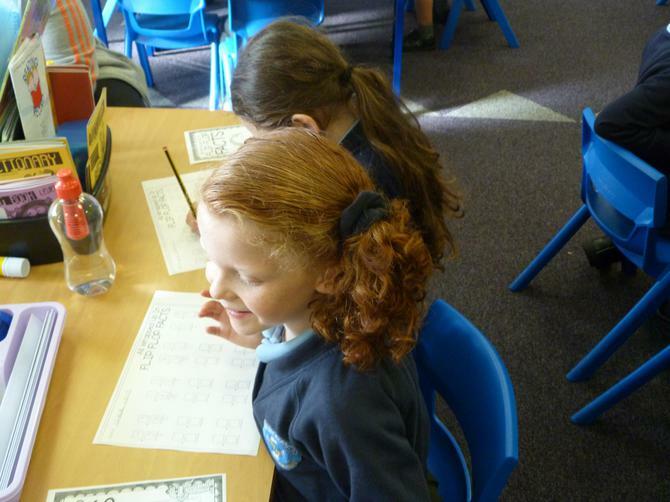 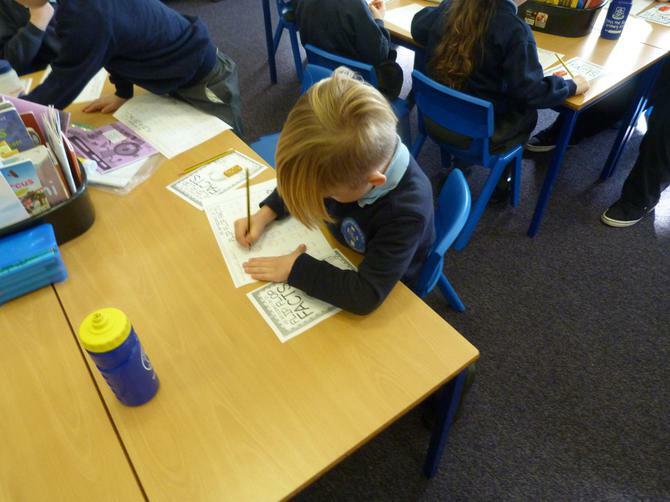 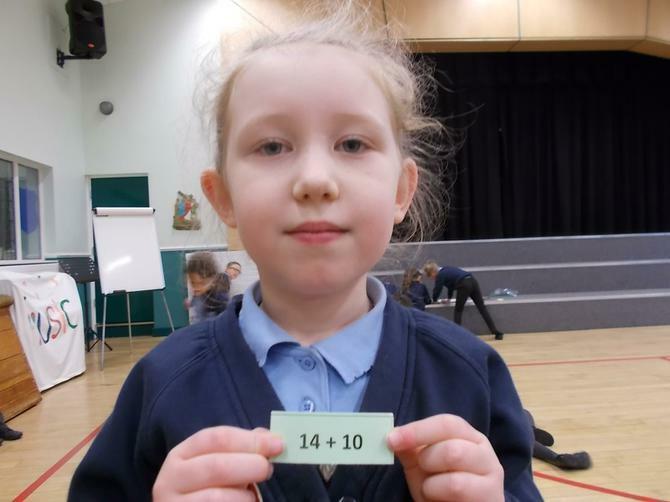 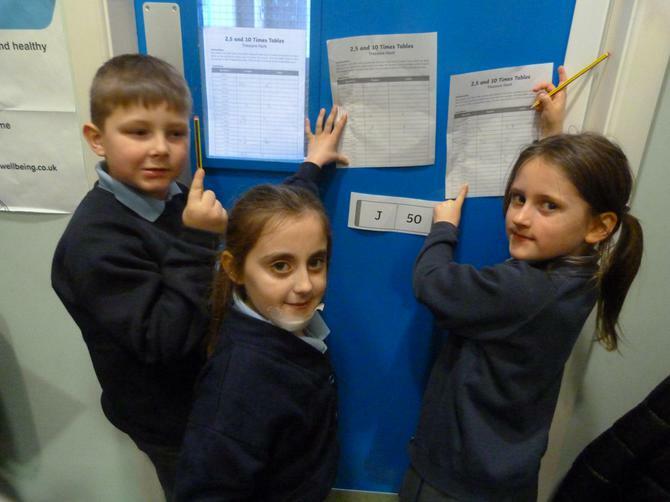 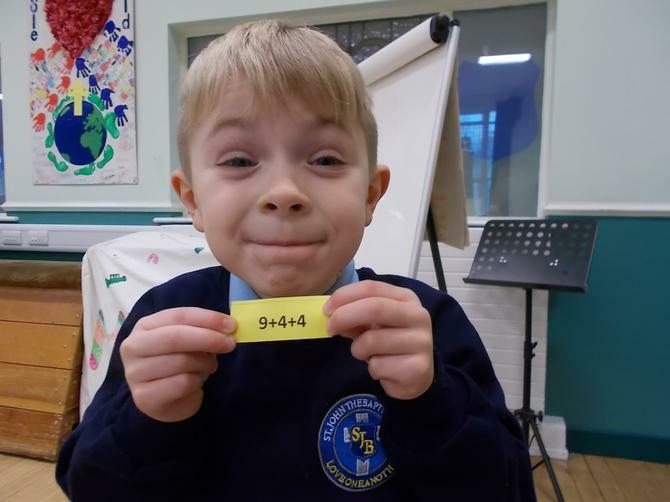 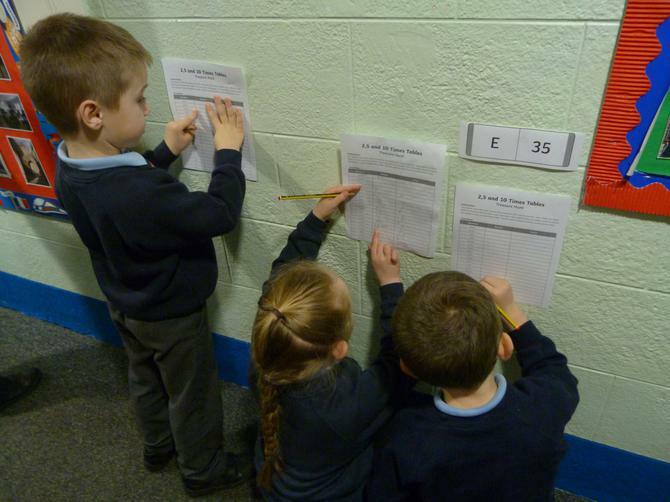 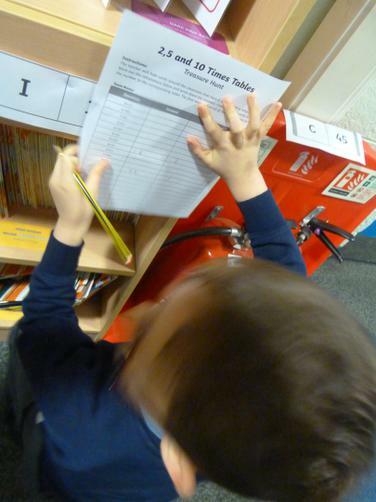 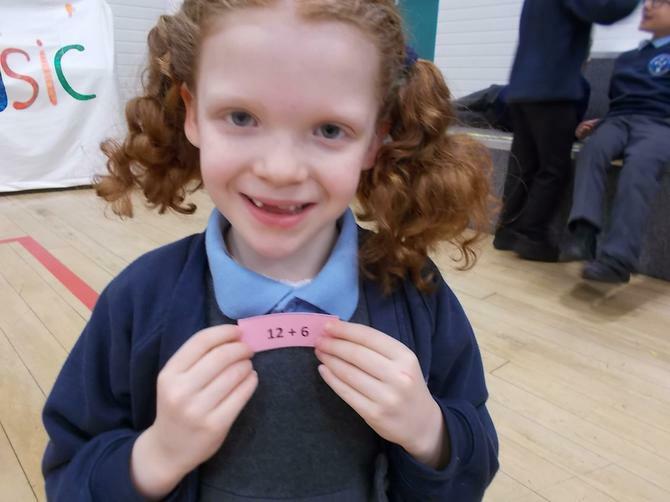 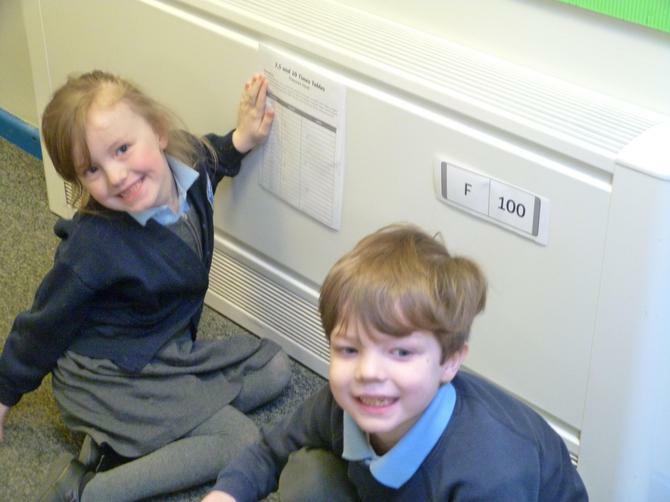 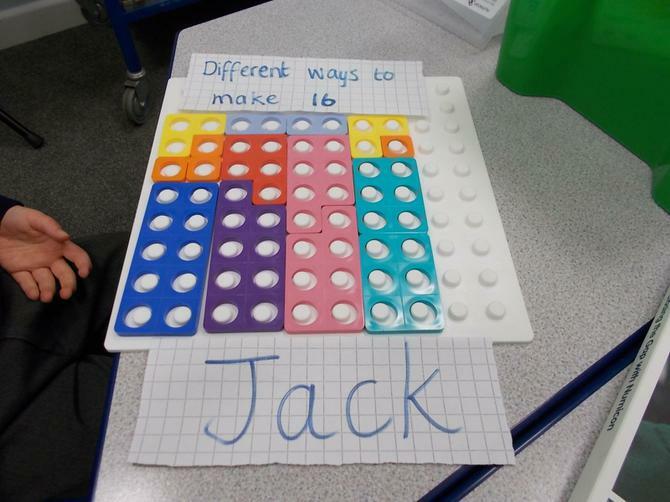 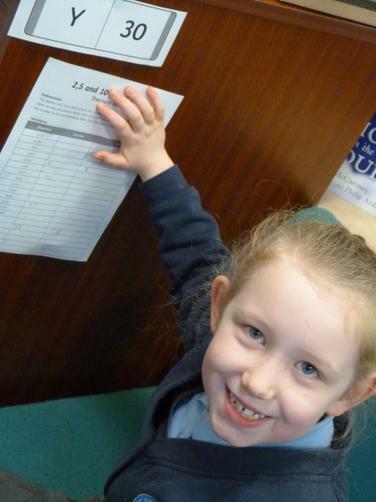 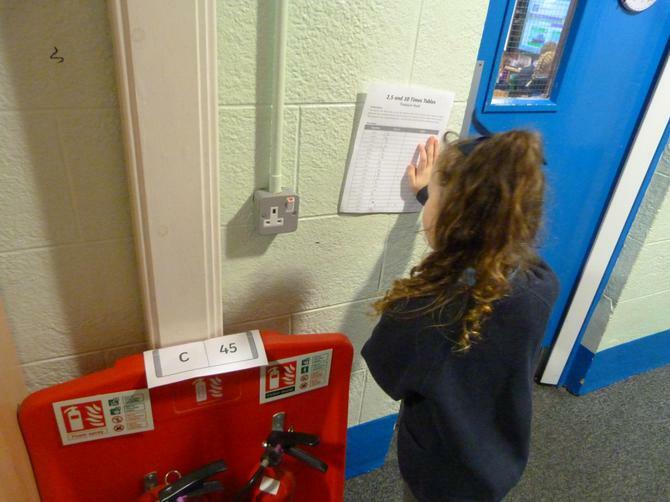 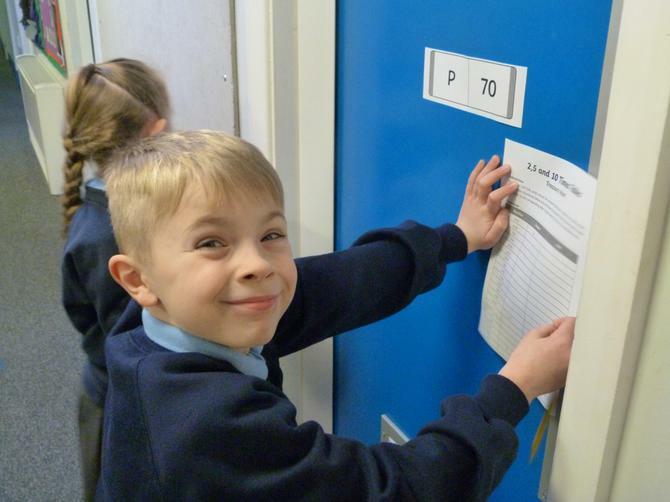 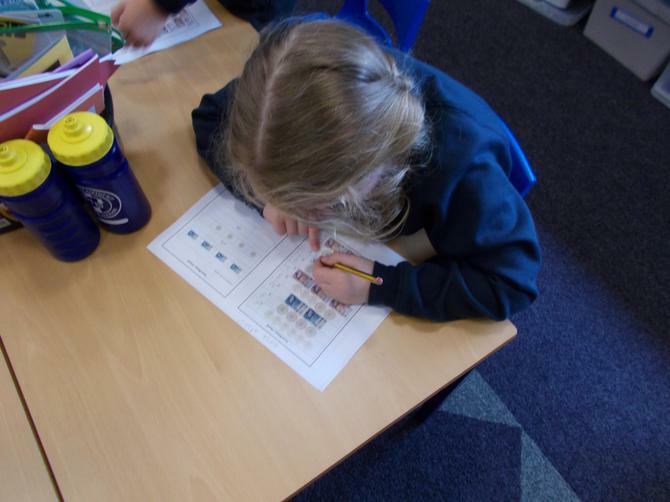 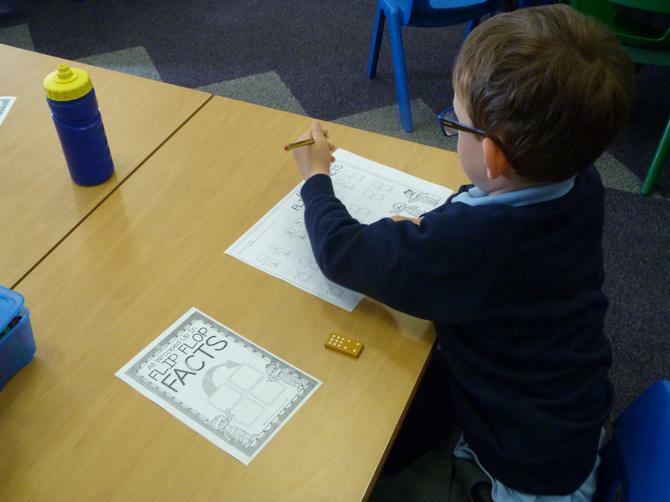 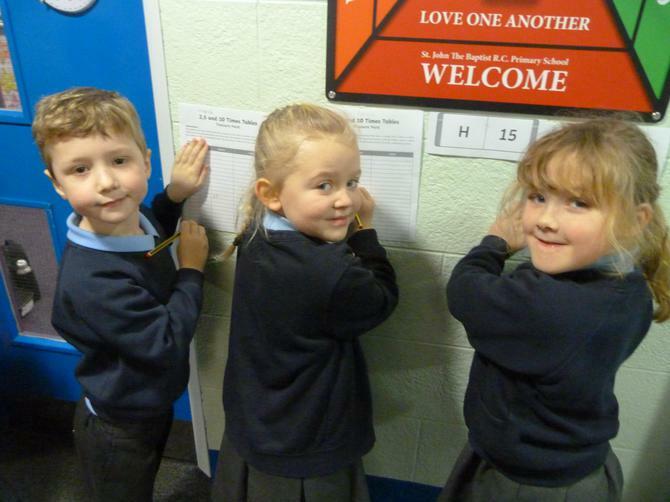 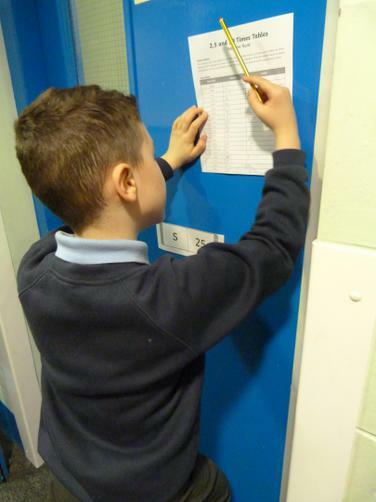 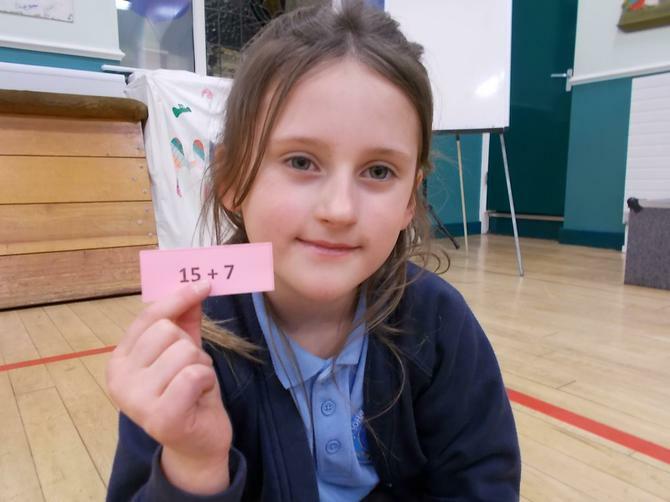 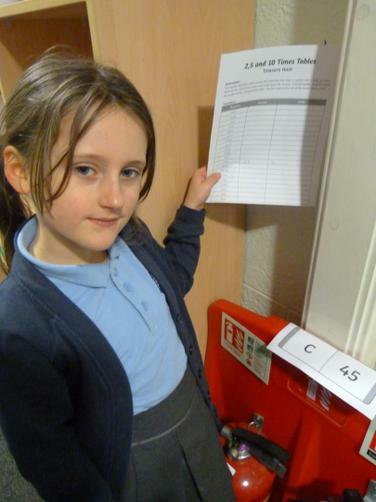 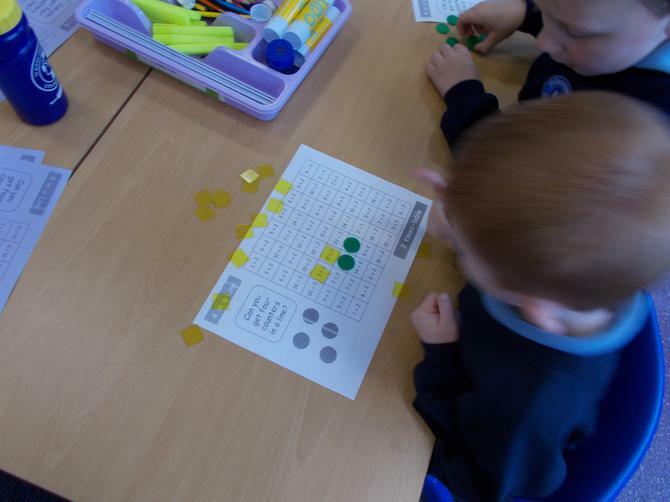 Other children were using the Apex Problem Solving books and having a competition on who could make the number 15 first. 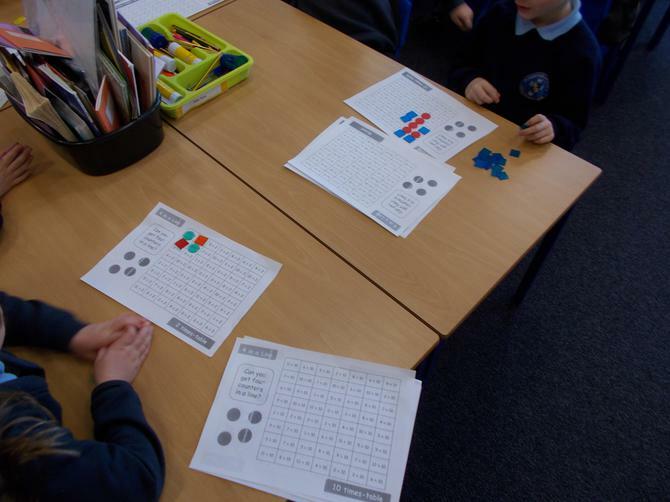 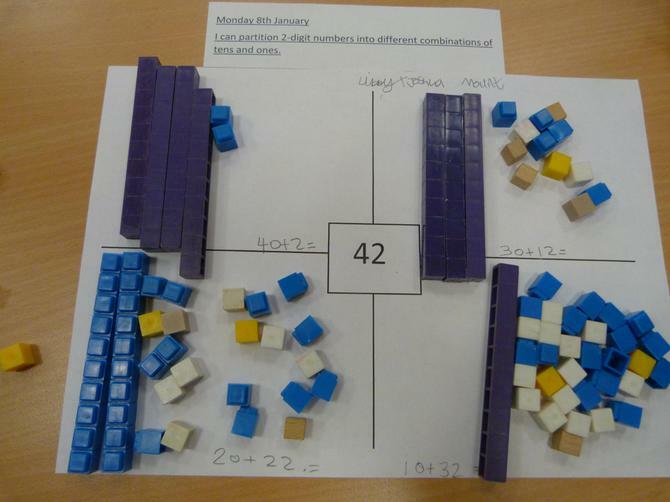 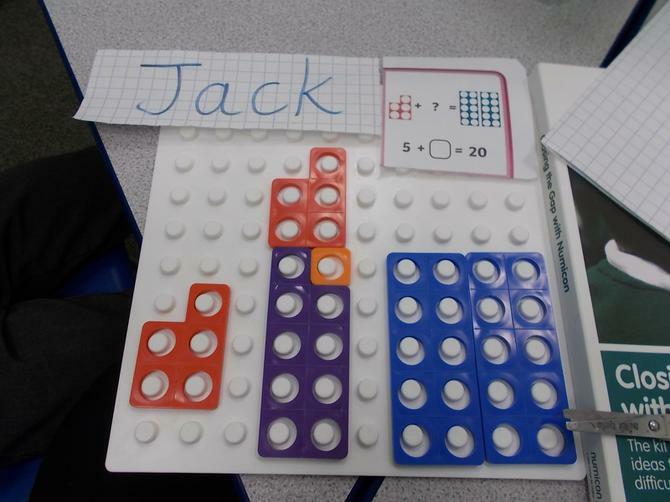 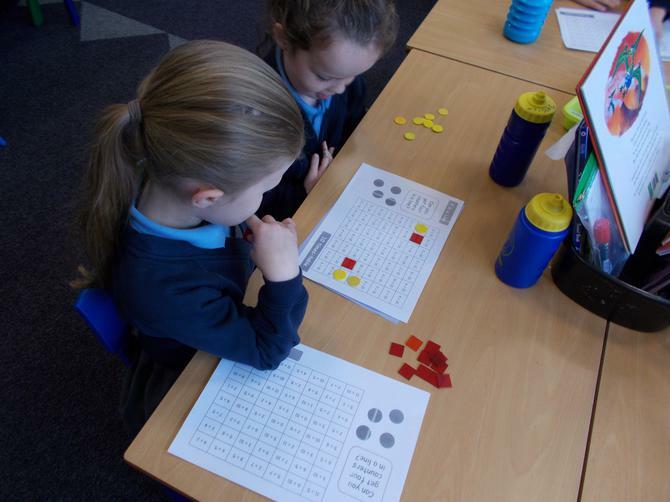 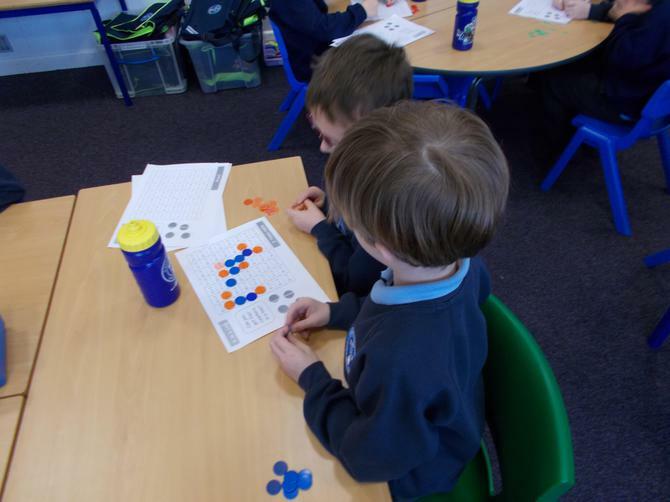 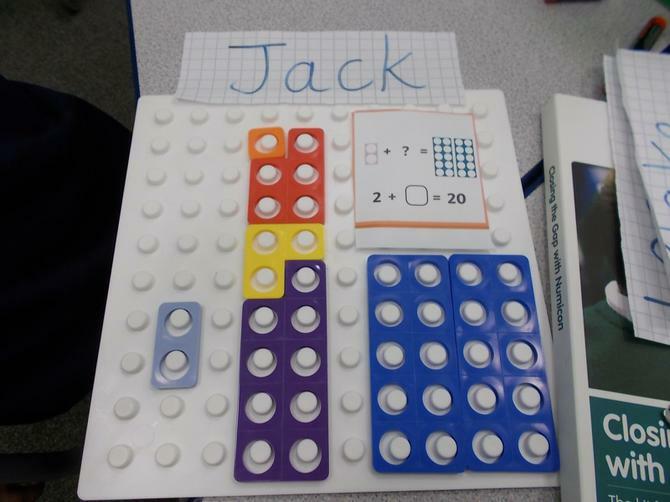 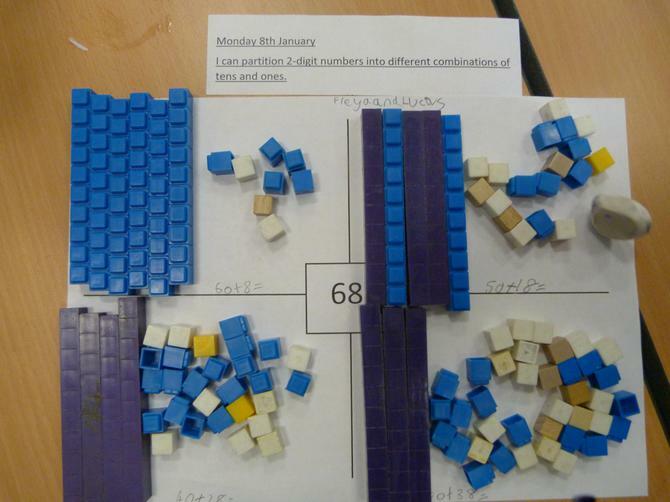 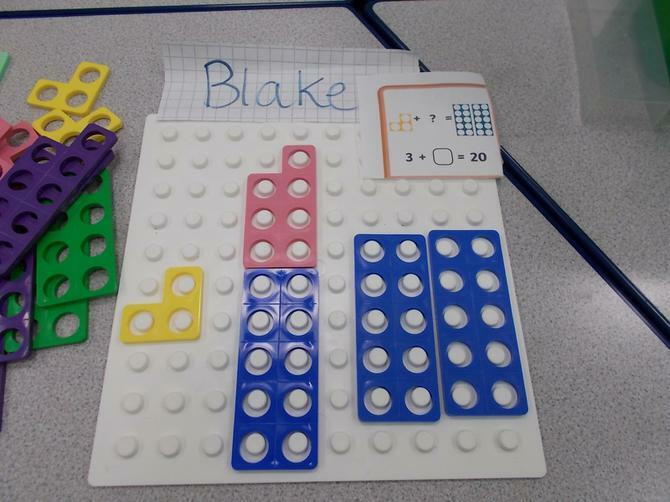 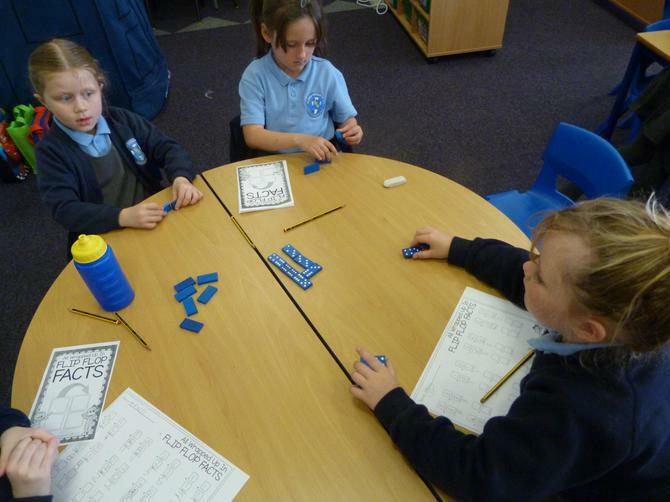 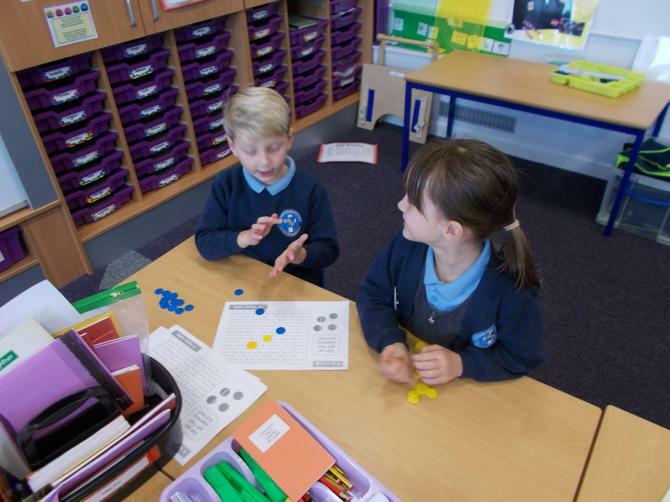 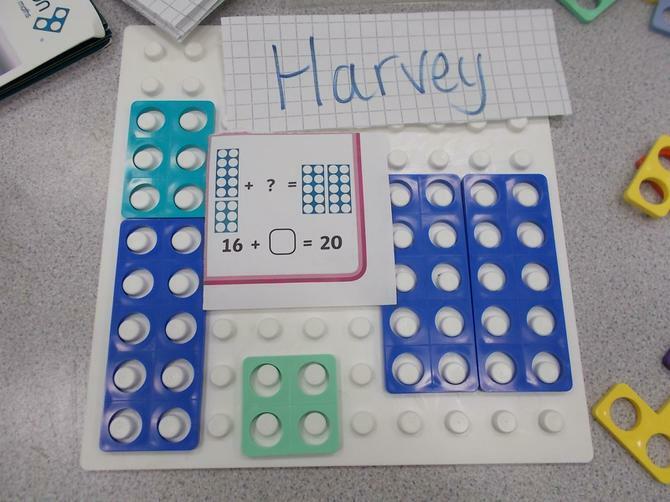 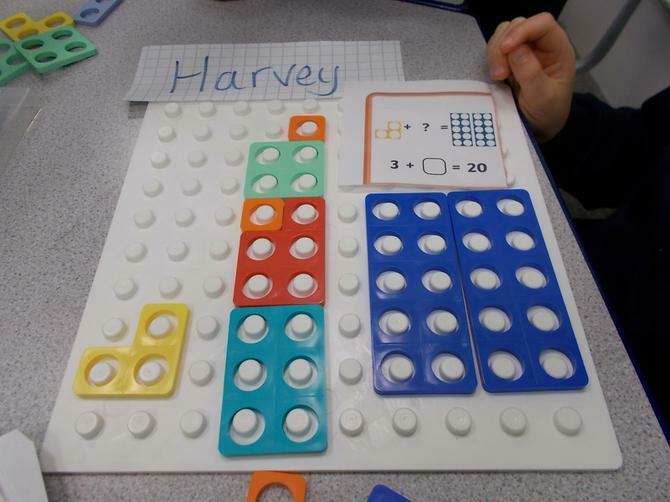 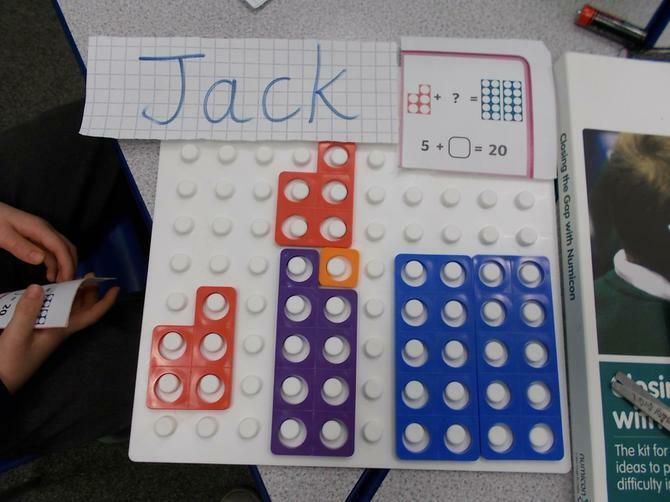 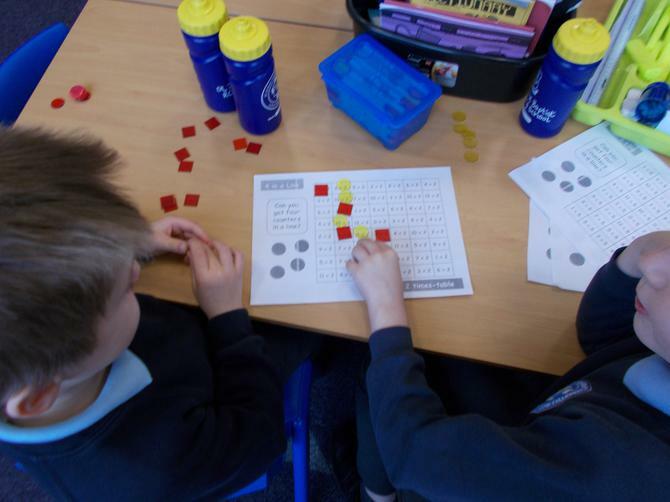 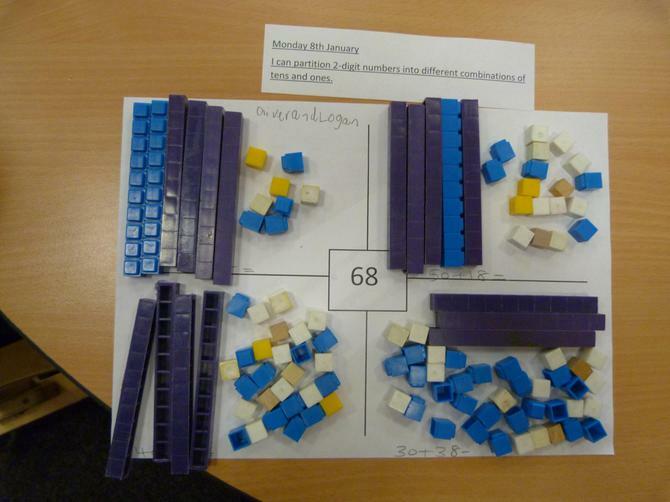 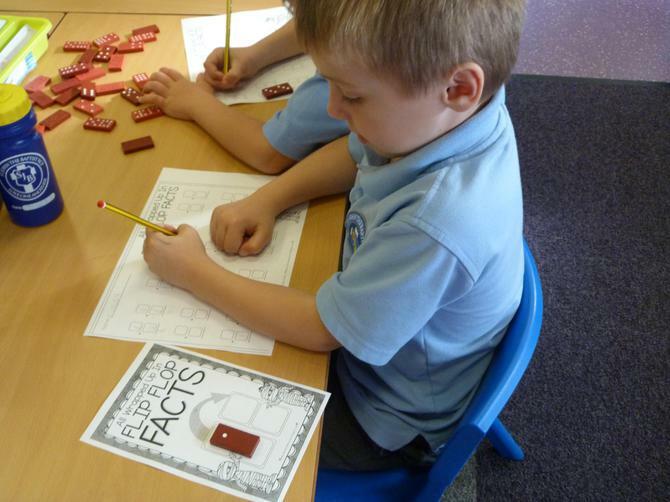 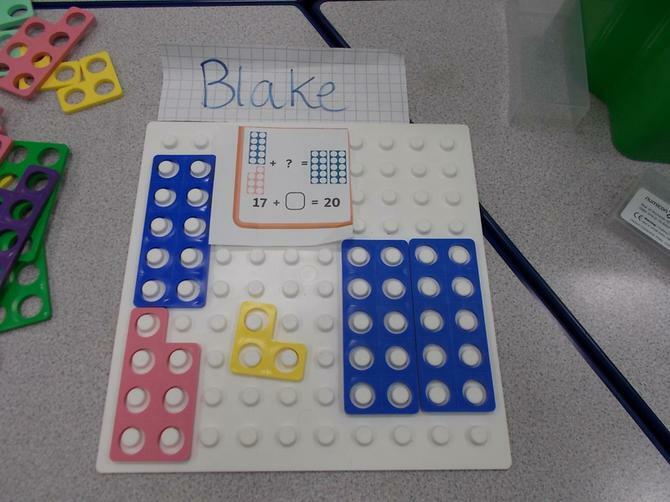 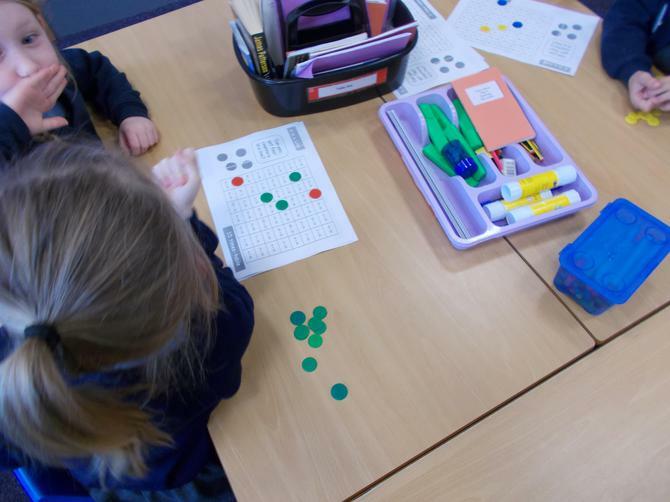 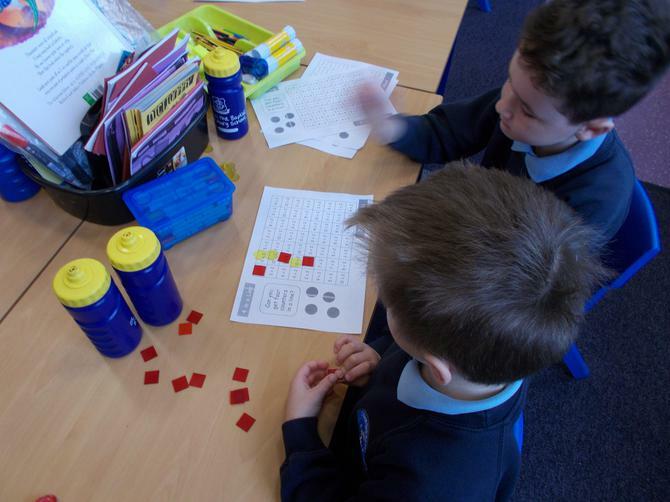 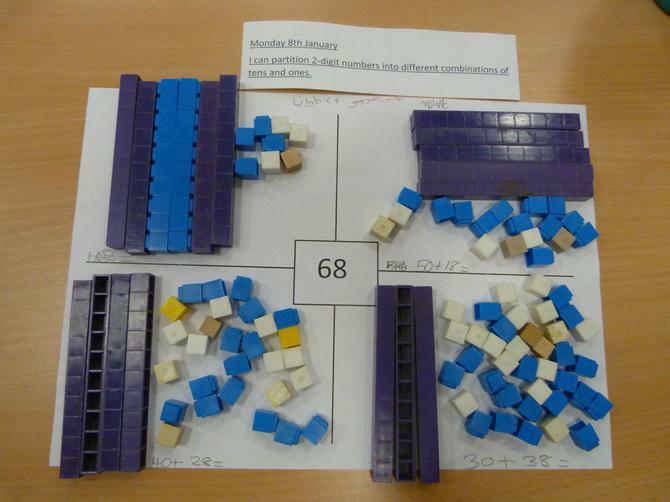 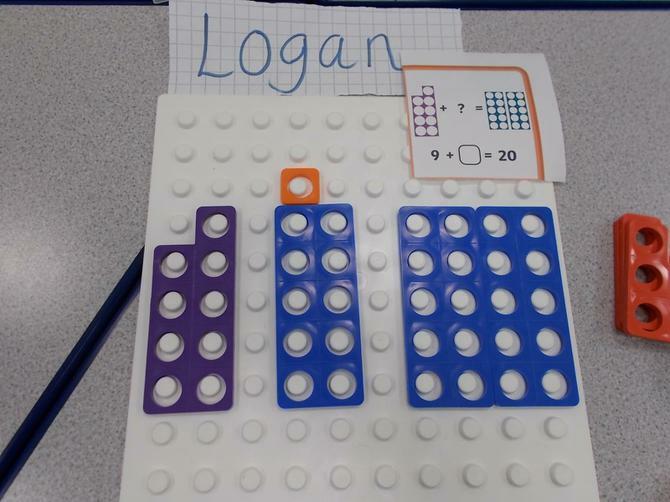 Using Numicon to help us with our number bonds and adding. 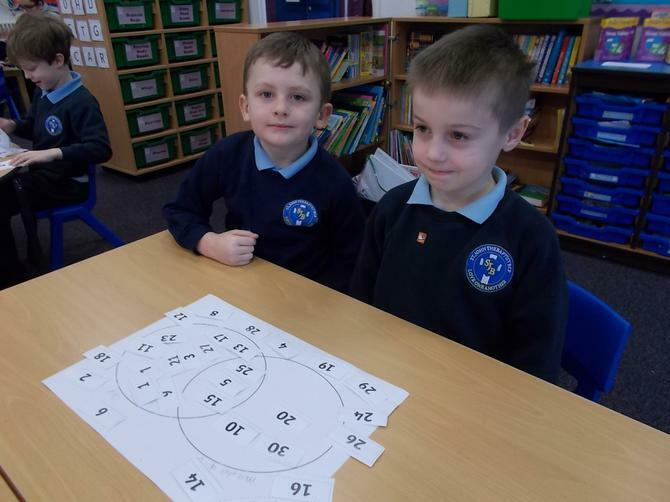 Learning to partition using different combinations. 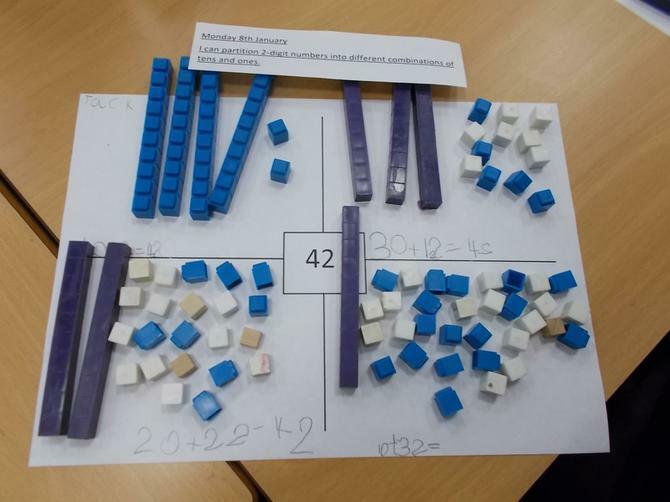 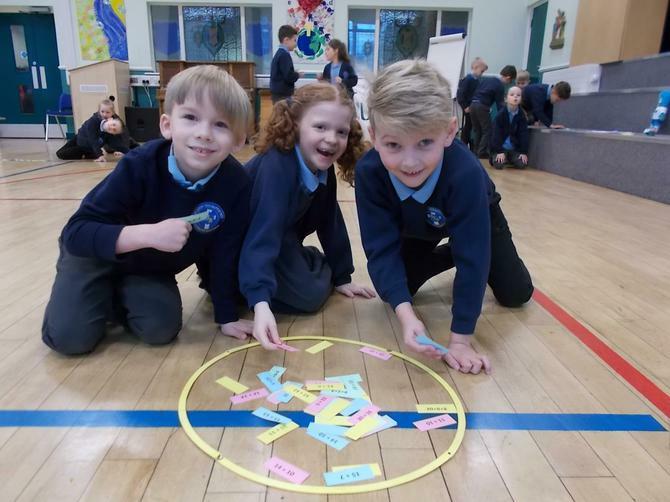 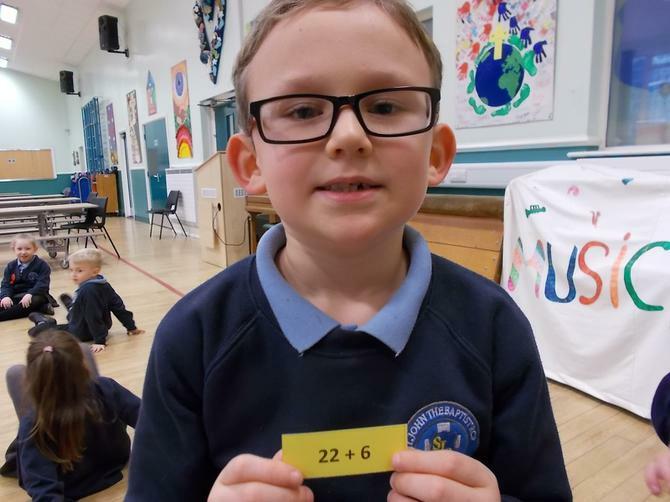 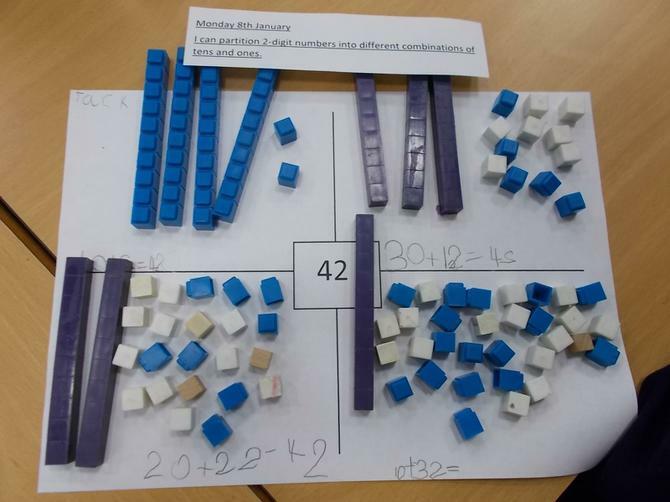 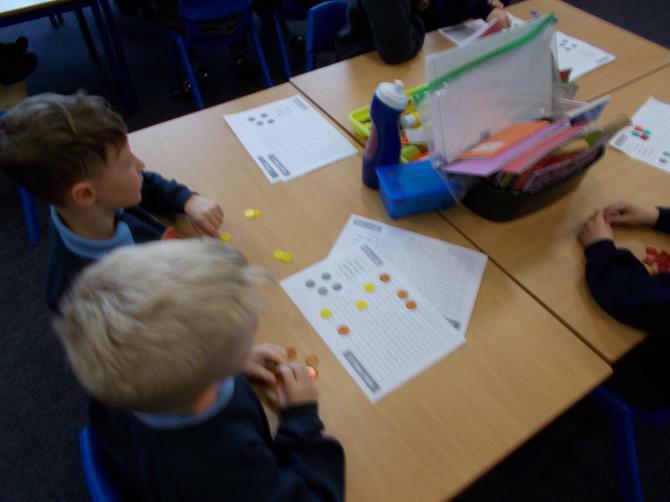 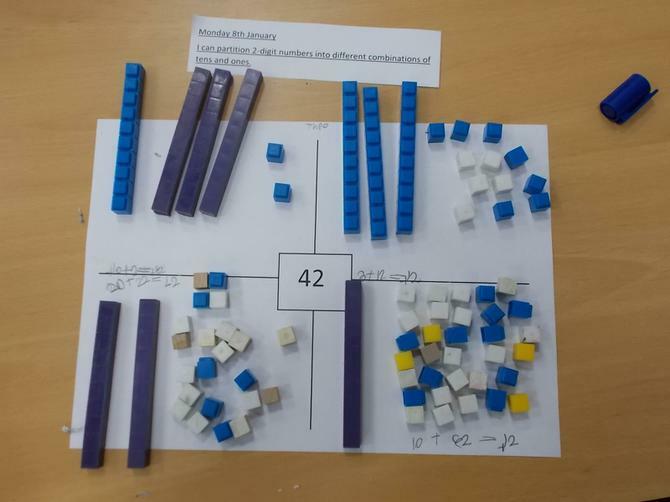 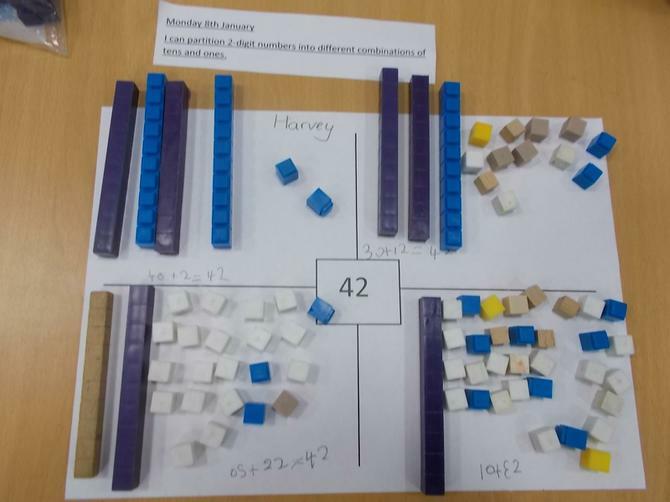 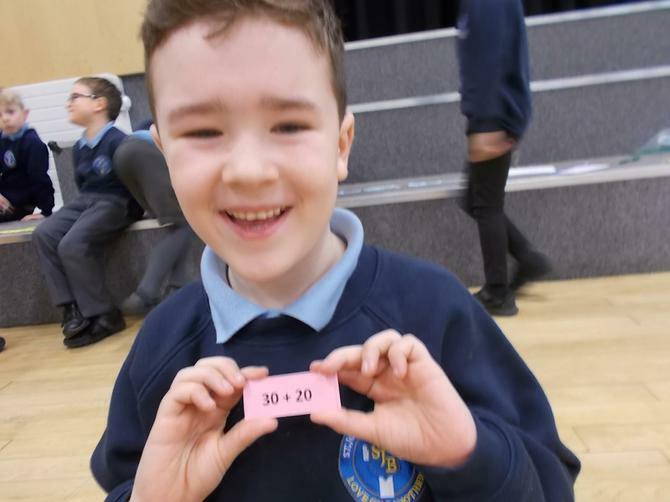 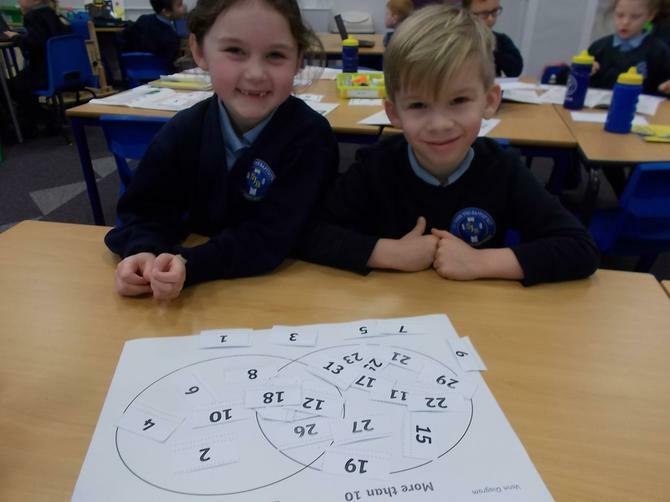 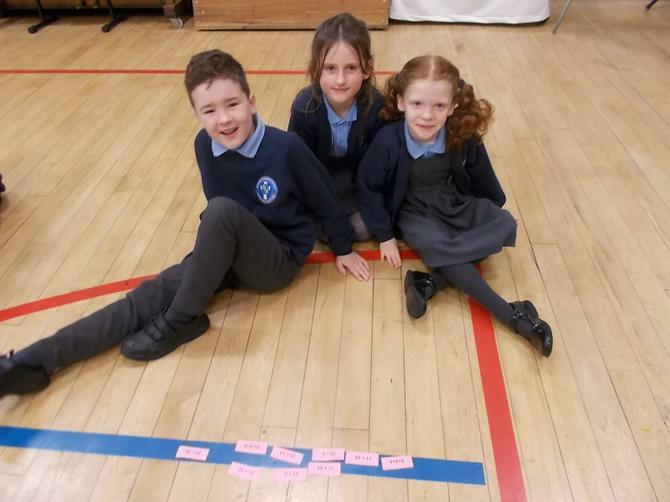 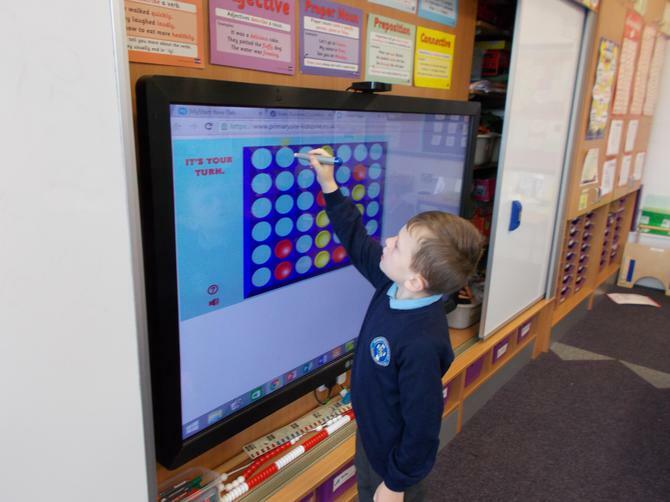 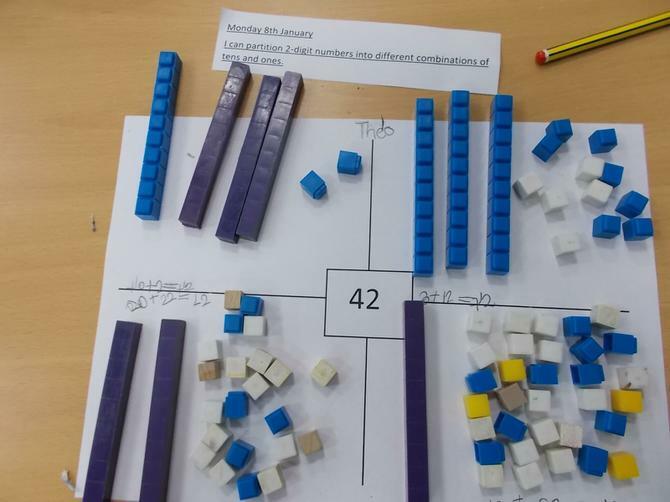 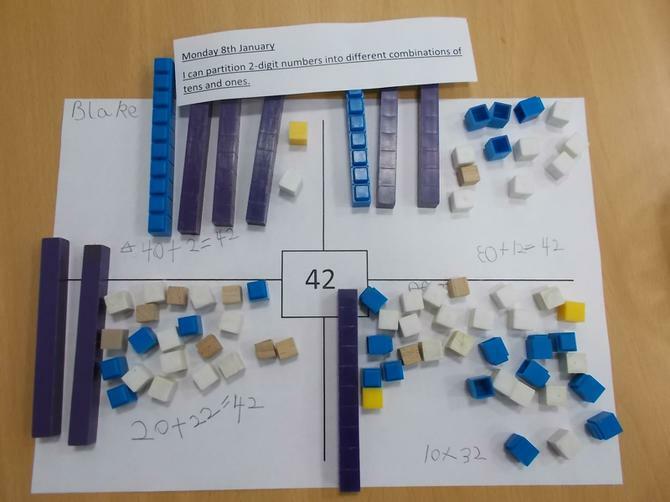 The children used their knowledge of division as the inverse of multiplication to challenge themselves to a game of four in a row. 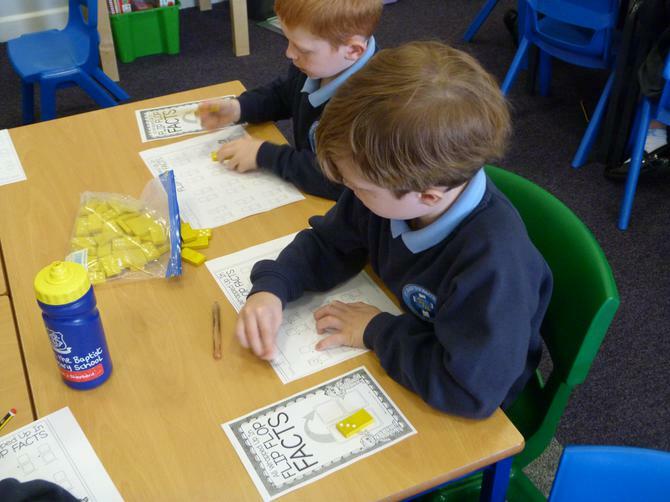 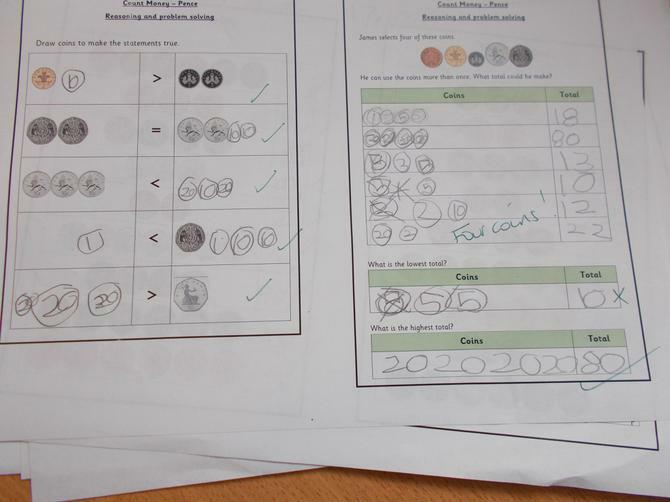 We are becoming really confident counting money. 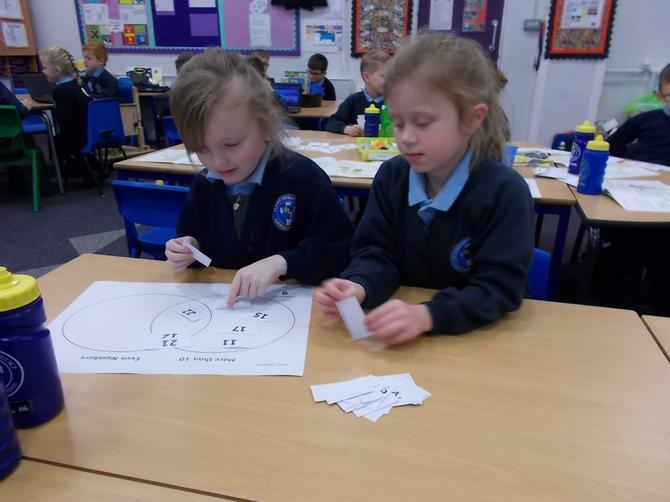 The children have enjoyed playing Connect 4. 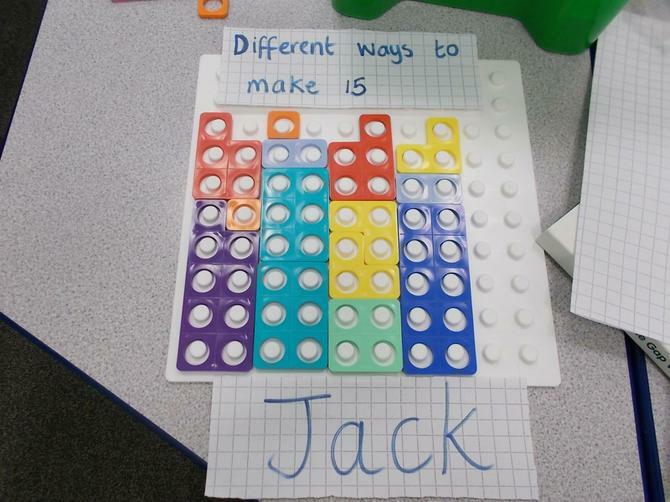 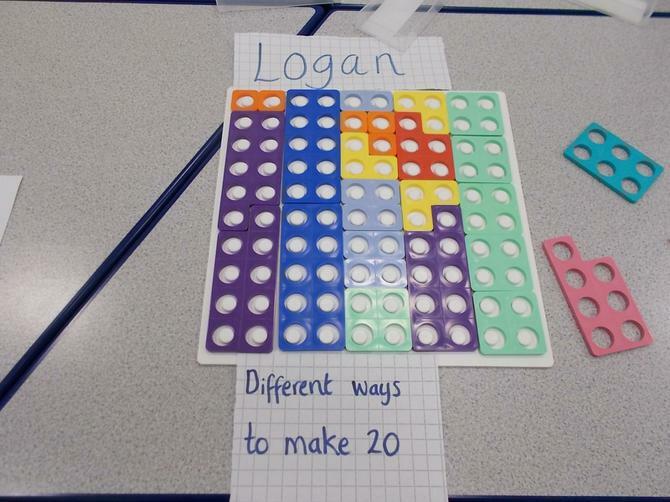 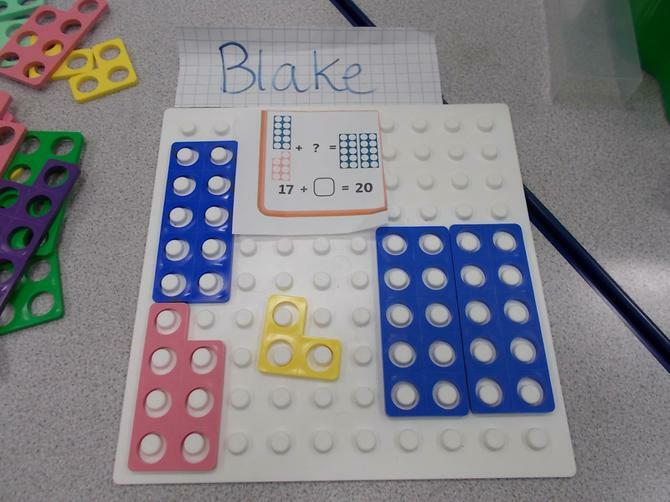 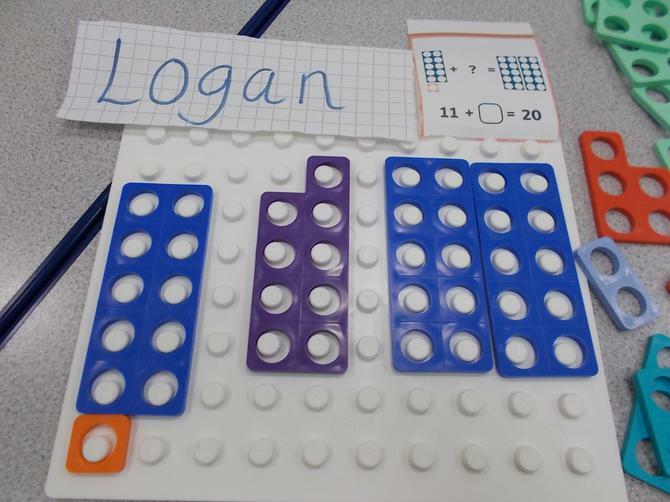 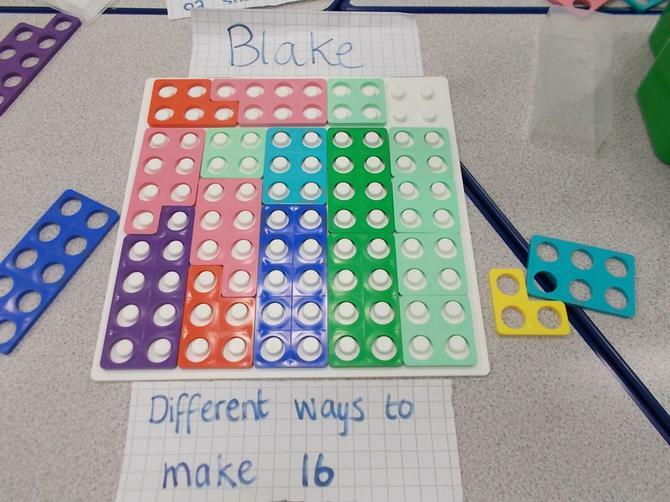 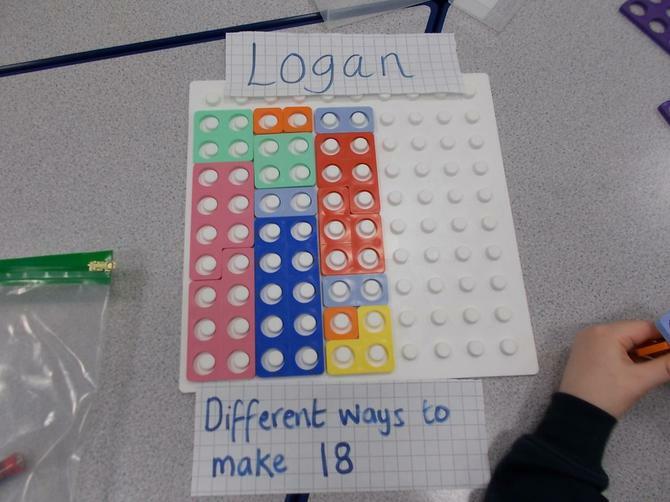 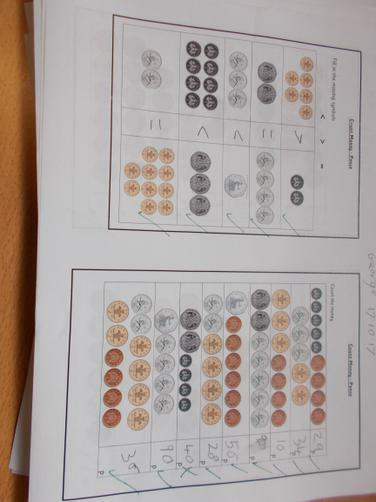 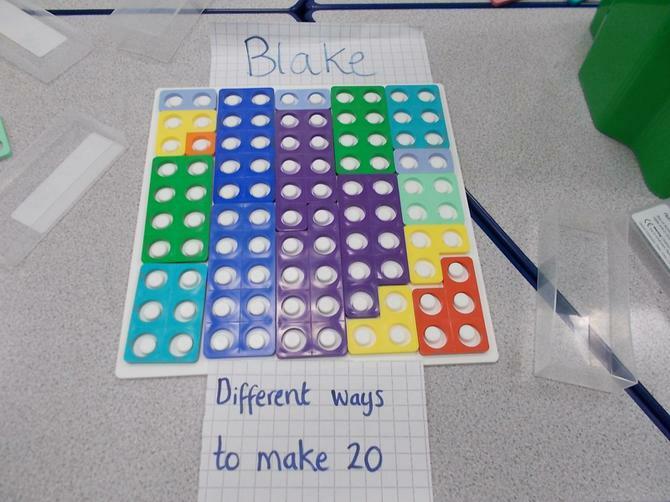 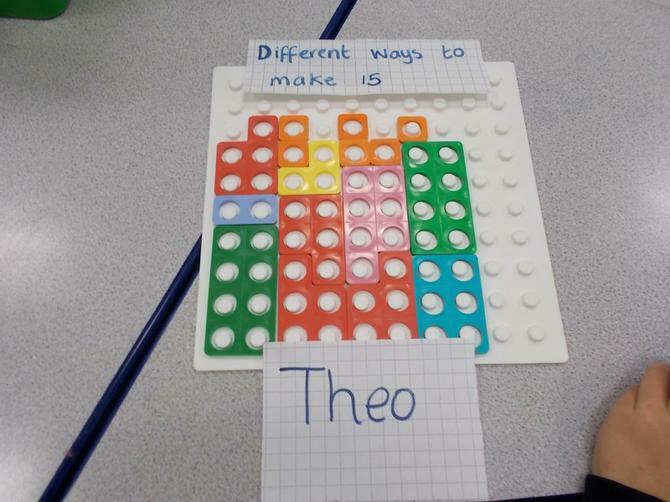 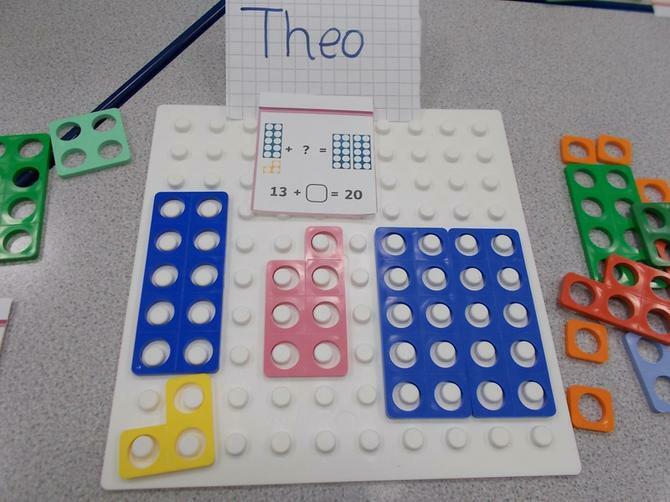 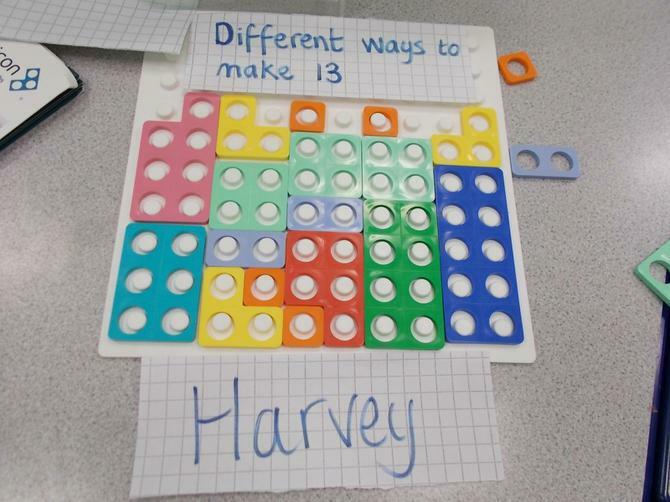 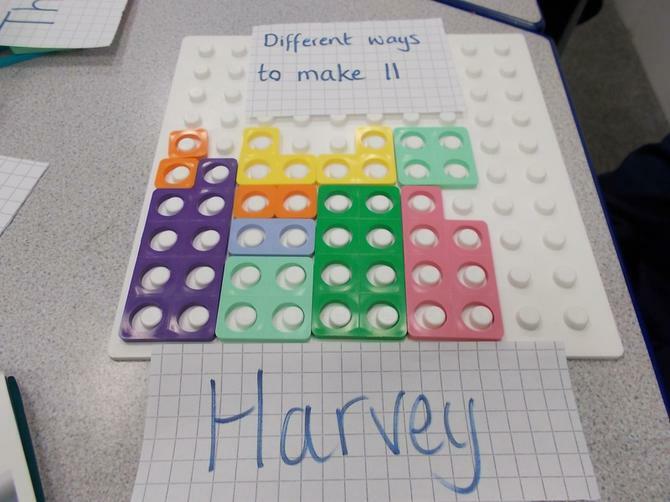 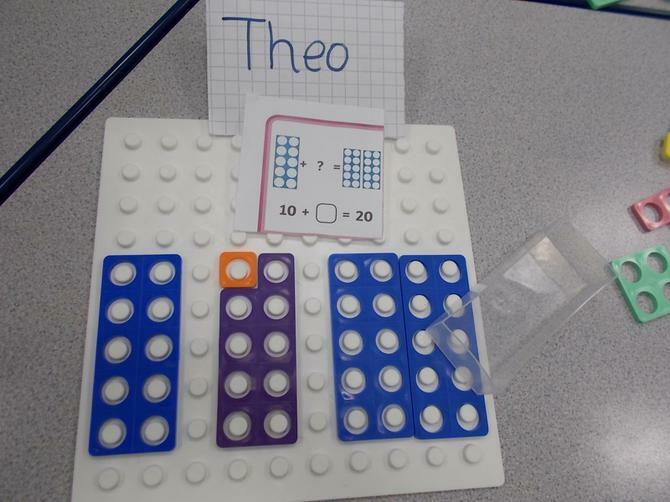 This is excellent for logical thinking and problem solving. 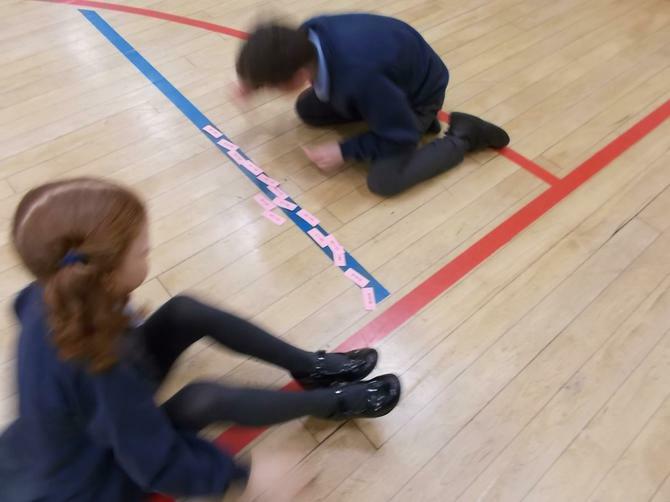 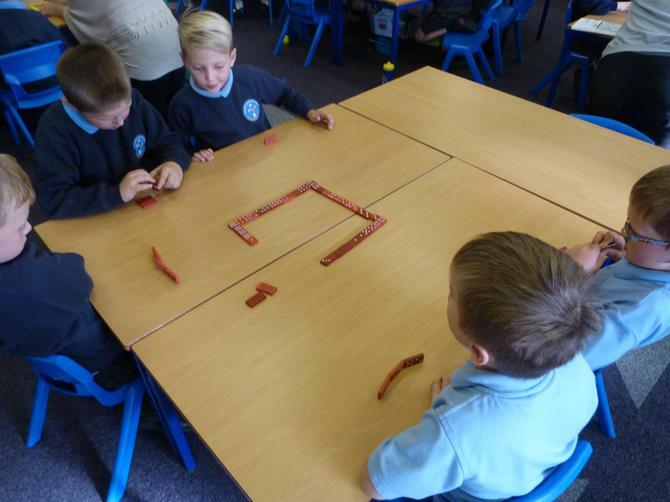 The children were playing 'Flip Flop Dominoes'. 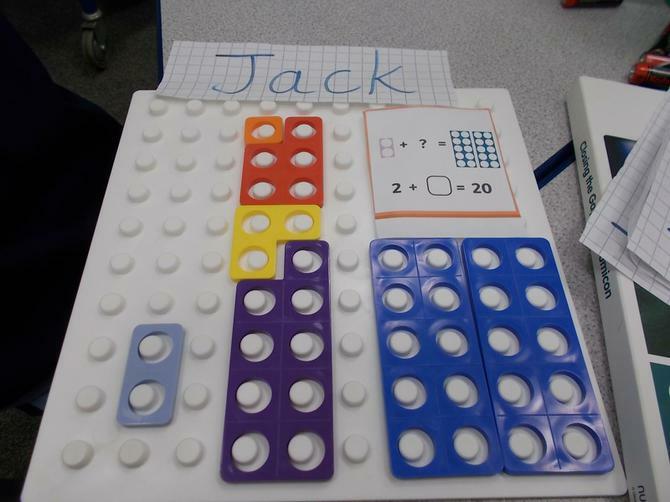 This was to teach them the commutative properties of addition...that numbers can be added in any order. 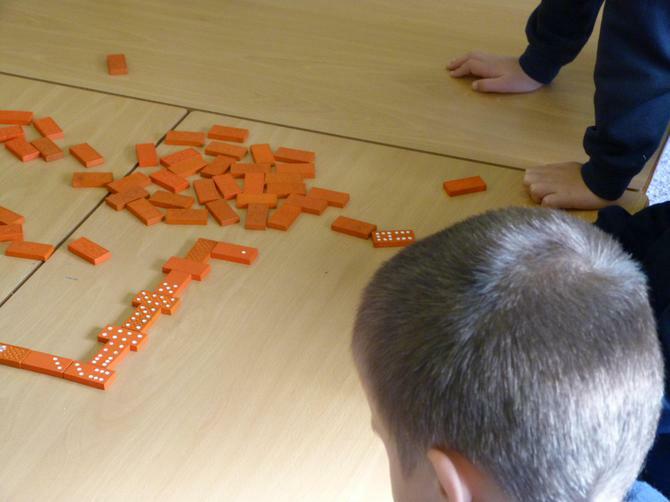 We can Flip Flop them over like a domino. 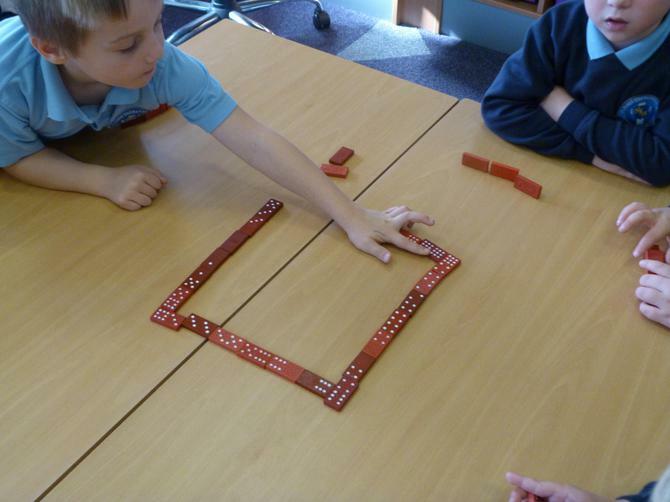 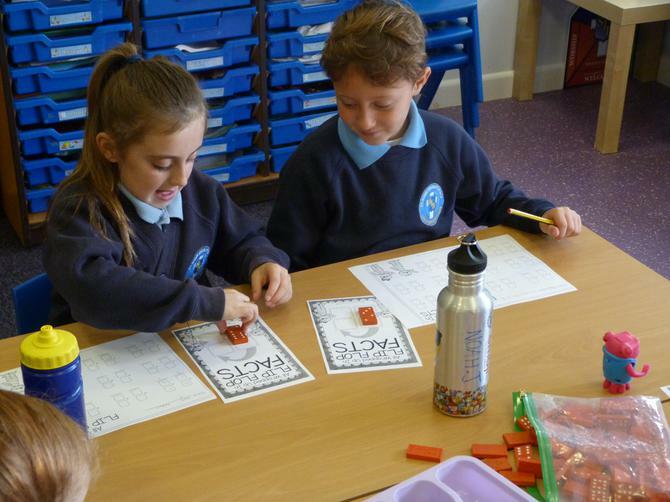 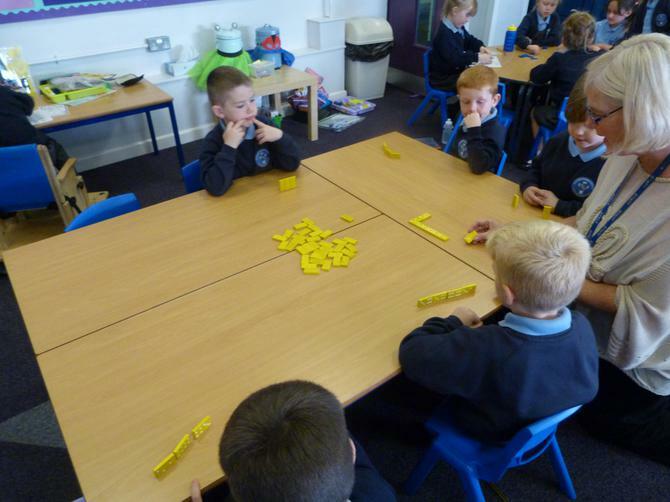 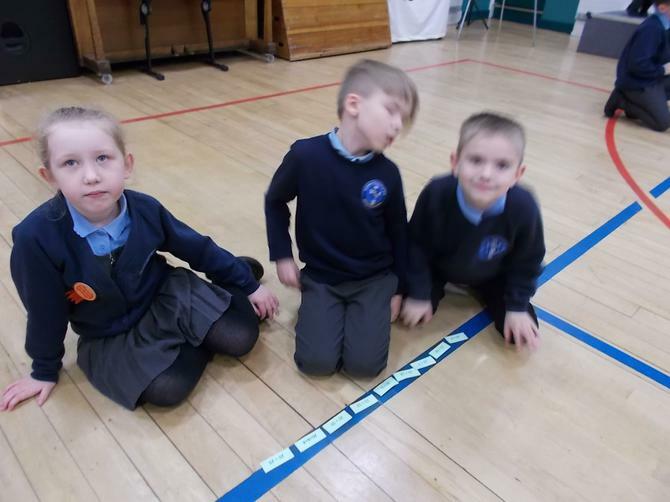 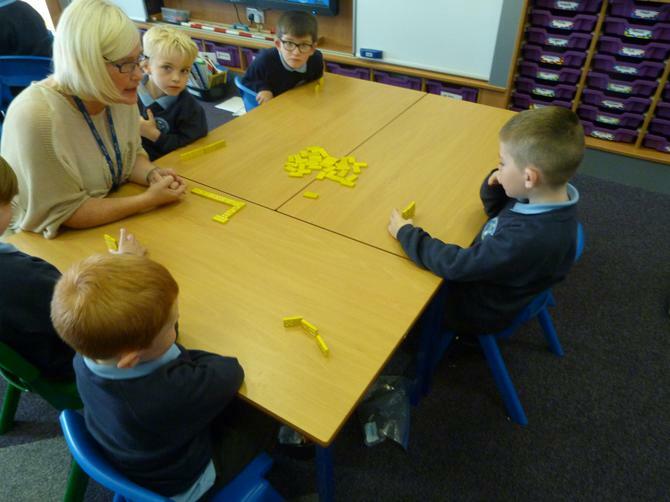 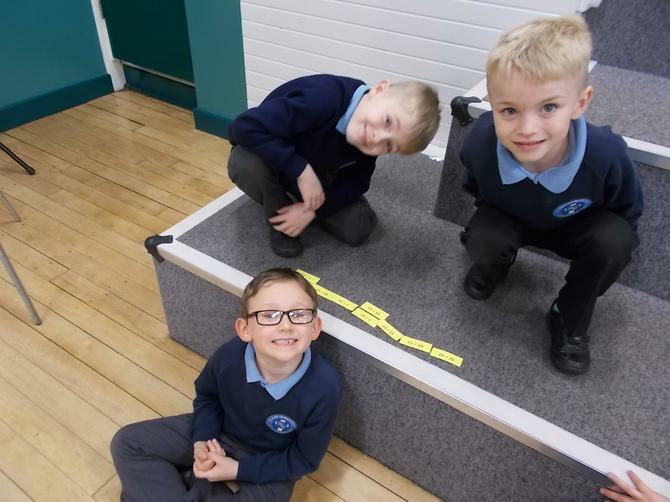 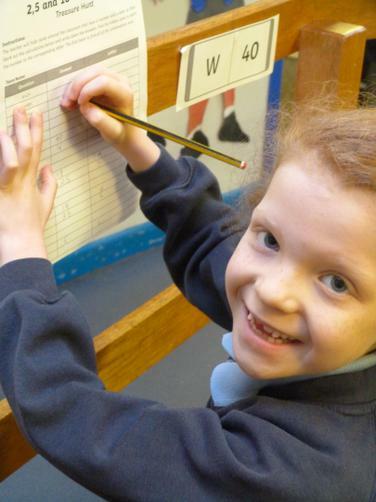 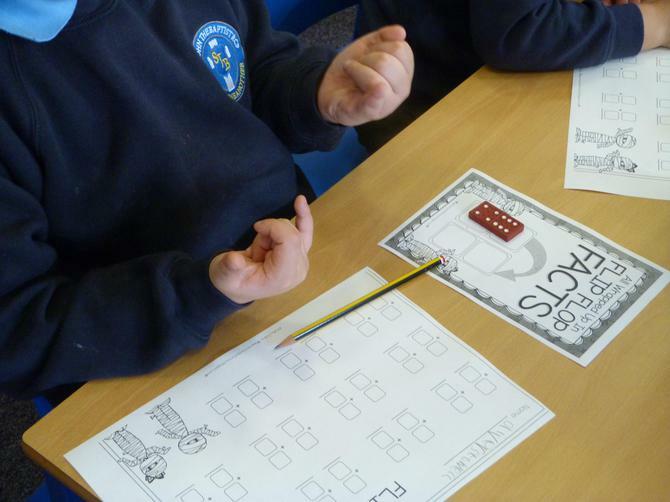 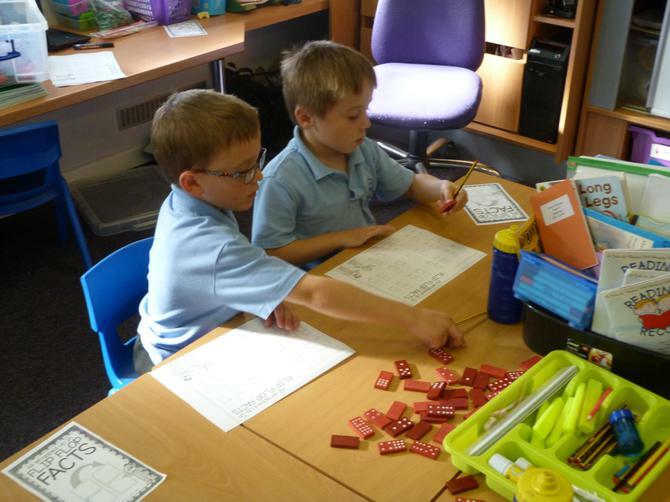 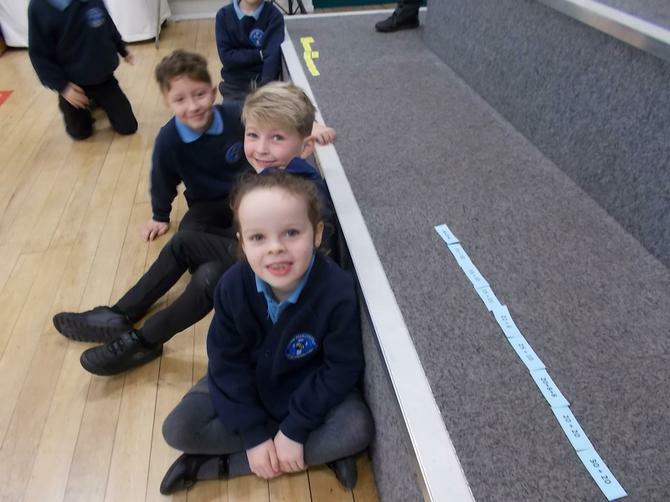 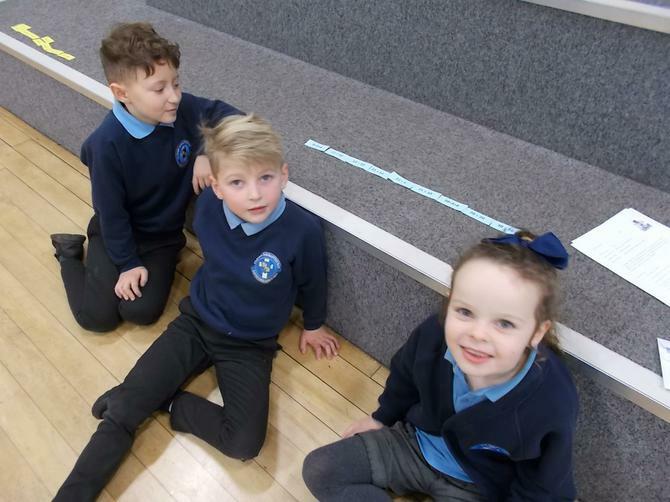 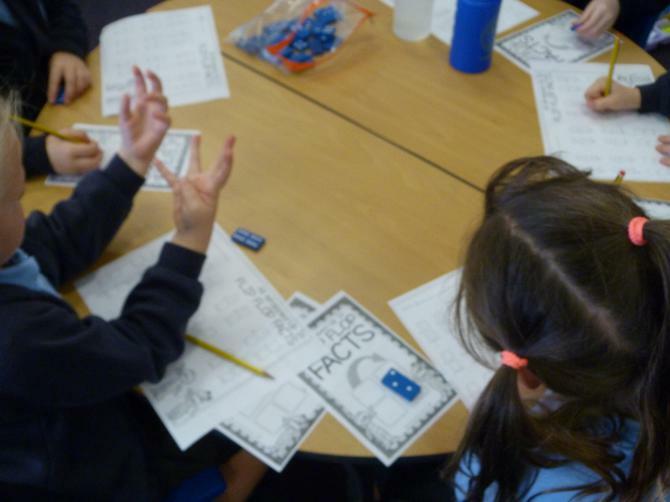 The children enjoyed learning how to play dominoes and counting the spots.